Gary got his hands on Kittyhawk’s new P-39 Airocobra in 32nd scale – he thought that to show you the kit he might just build it – but not before a quick review turned into a really very detailed review. 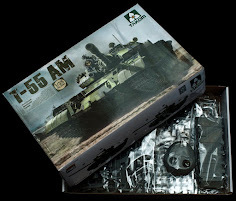 Let’s see what he thought of the kit with some photographic comparisons and great insight in his review. 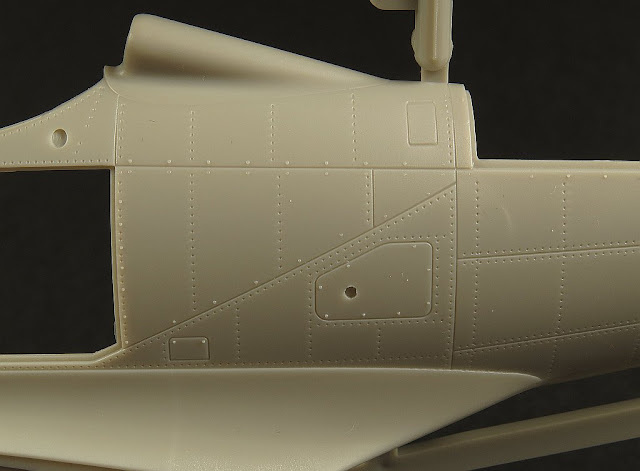 Today we take a look at Kittyhawk’s latest 1/32 kit, the Bell P-39N/Q Airacobra. 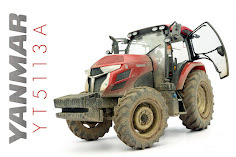 As the kit has already started to hit the shops as I type this, we wanted to get some useful information about what’s actually contained in this new kit out quickly to allow modellers to see for themselves. As they say a picture is worth a thousand words. Accordingly I have focused the bulk of this review on detailed photos of the kit parts so you can be the judge for yourself of the merits of the kit. 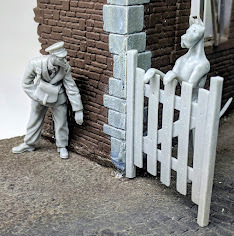 Of course I’ve noted a few things here and there as I have been pouring over the kit and I’ve also done some initial dry fitting to see how it performs when taken out of the box. I’ve been looking forward to this release, so let’s get down to it. • Recessed surface detail is very well done. 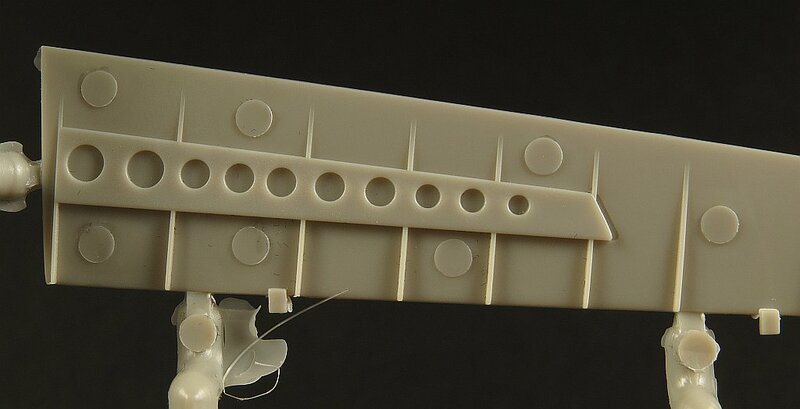 Rivets and panel lines are mostly to scale and sharp. 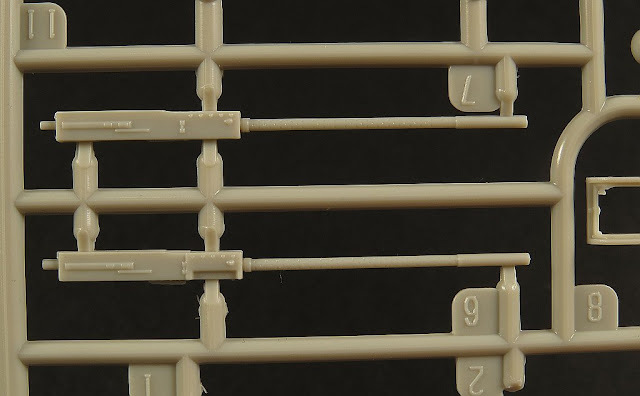 • The fit (based on initial dry fit) is also very good with no major issues with warping or gaps. 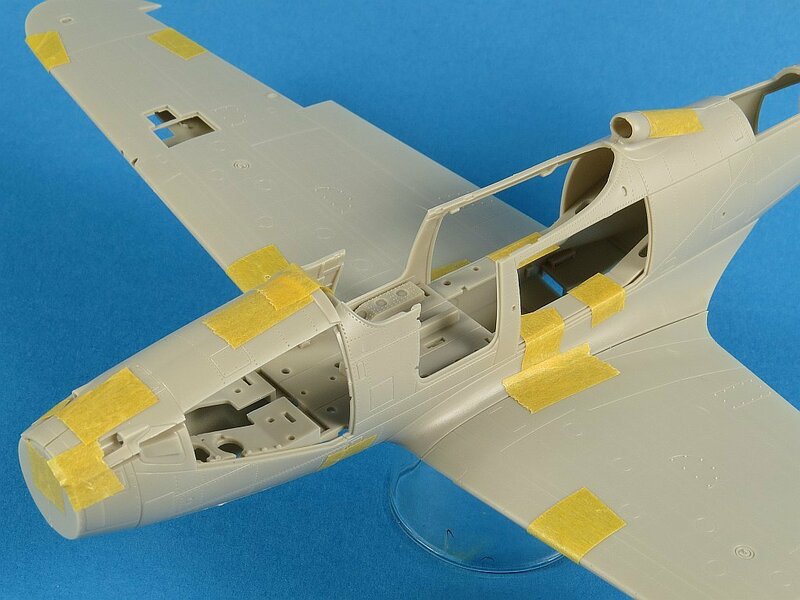 • A healthy choice (5) of varied and interesting paint and marking options to build either the Q or N variant. The Bell P-39 Airacobra was one of the principal American fighter aircraft in service when the United States entered World War II. 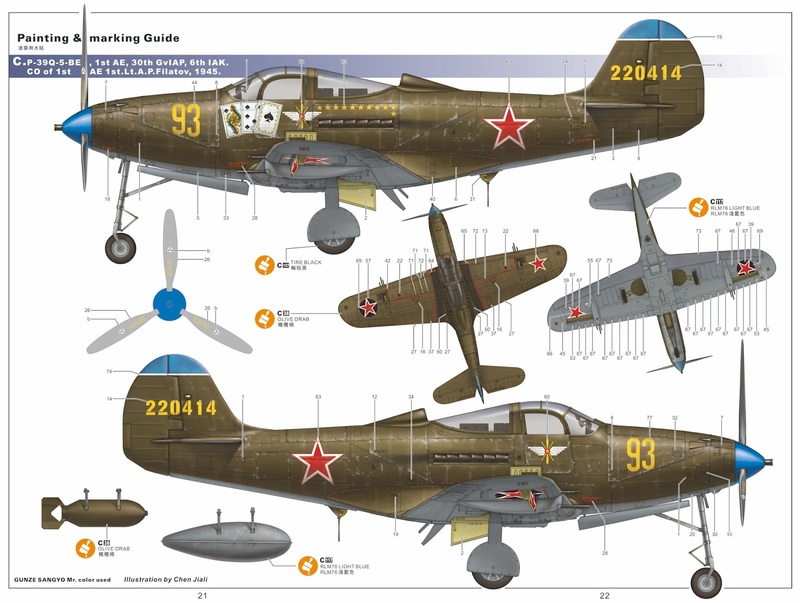 The P-39 was used with great success by the Soviet Air Force, which scored the highest number of individual kills attributed to any U.S. fighter type. 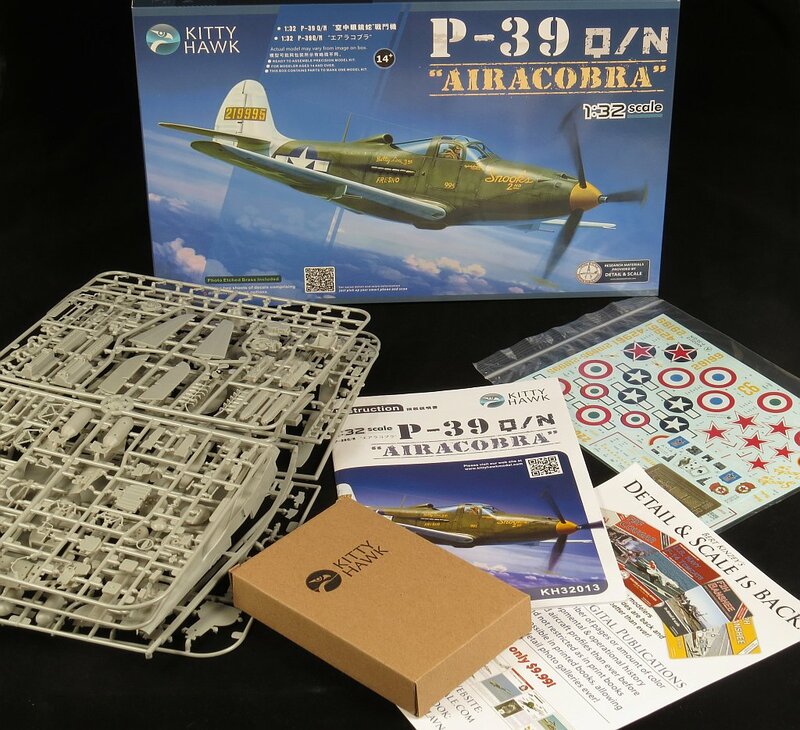 Kittyhawk has based their kit around the final two variants of the Airacobra, the P-39N and P-39Q. 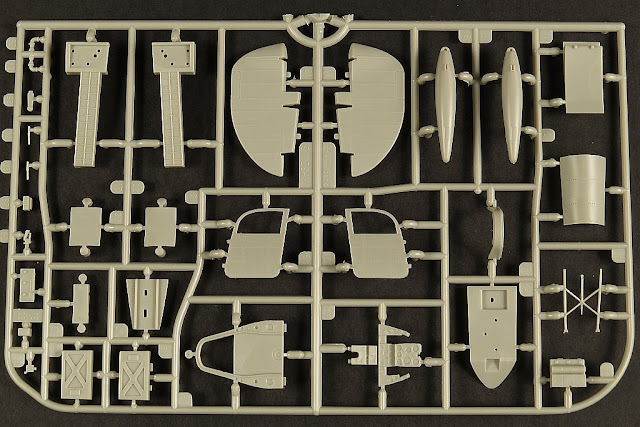 The sturdy KittyHawk box contains a total of 7 grey plastic sprues and one clear sprue, which is thoughtfully shipped in its own protective box. A small photo etch fret is provided along with two decals sheets and a 20 page assembly manual. 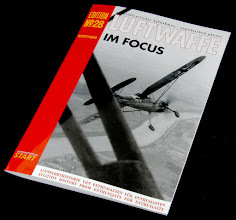 The final inclusion in the box is a colour flyer for Detail & Scale books. 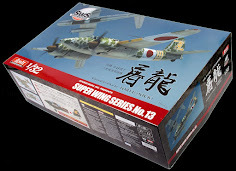 The collaboration with D&S has been going for a few kits now and it’s a good sign that KH are taking steps to improve their research and general accuracy with each new release. 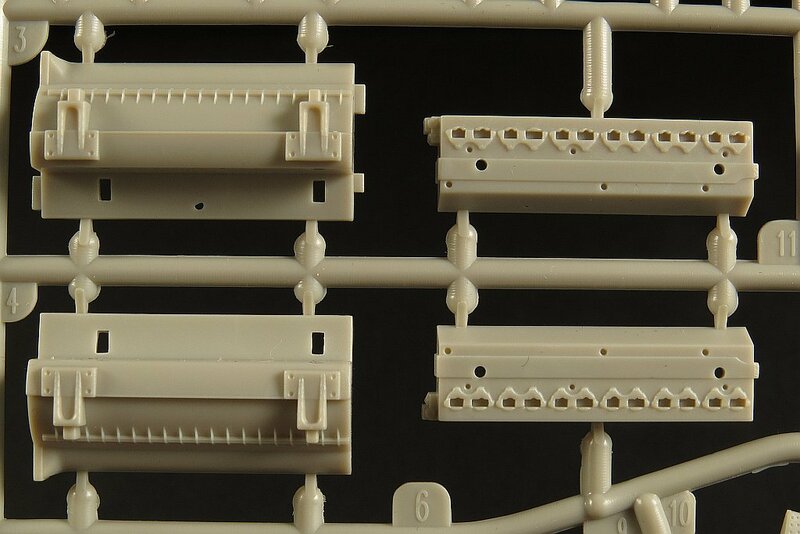 Before we get to the details about each sprue I thought you may first appreciate some photos of the major parts dry fitted together. I’ll say that the fit so far has been very good. 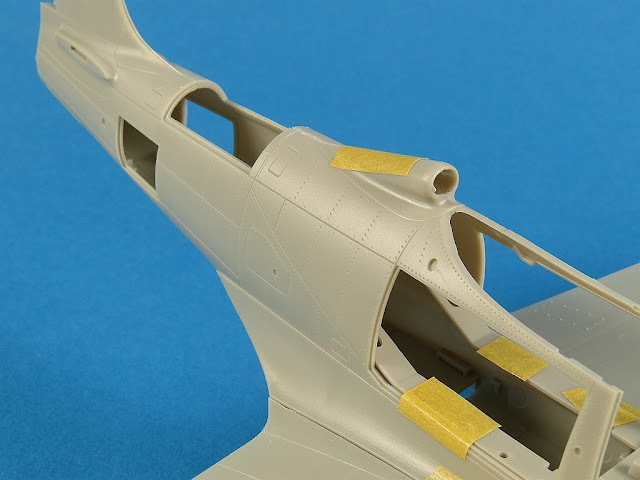 Because of the way the kit has been designed (with virtually the whole fuselage able to be opened for display) that it’s going to be a bit fiddly get everything aligned, particularly around the nose. 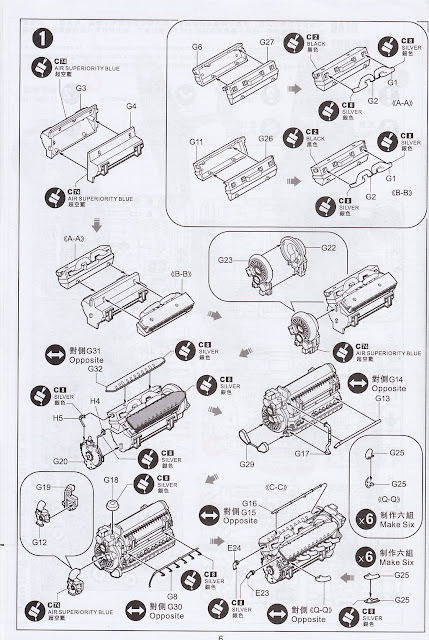 Now when I say fiddly I don’t mean that in a bad way, stuff seems to fit fine, it’s just that there are a lot of moving parts to get aligned next to each other. 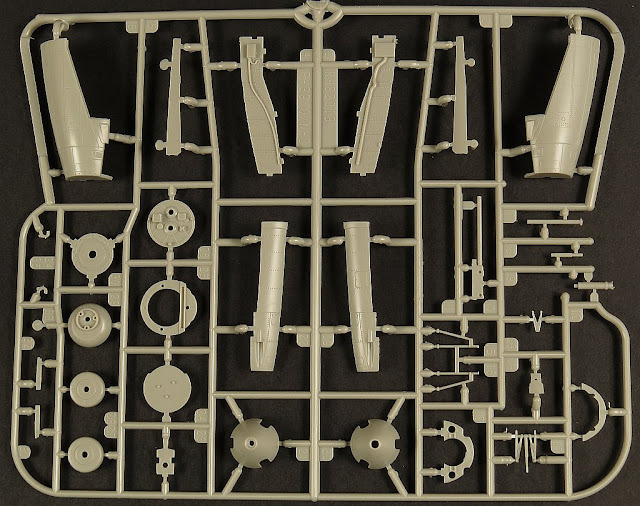 SPRUE A contains the upper wings (including open .30 cal panels if building the N model), the main undercarriage struts and main gear well roof and sides. 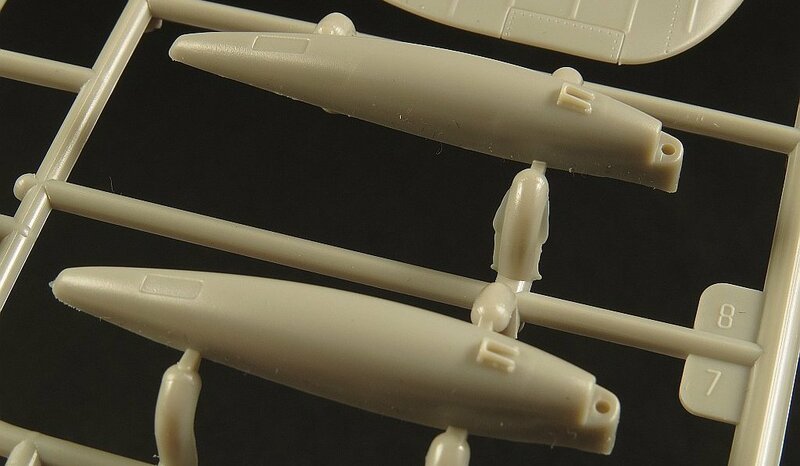 The riveting detail looks sharp and I’d expect will hold a wash as is. The panel lines are quite good but I will be sharpening them up with my scriber to ensure my panel wash will slip down into them and hold. If you plan to build a P-39Q then be sure to fill/delete the leading edge holes for the .30 cal wing guns and seal the access panels closed (as the Q had no .30 cal wing guns fitted). 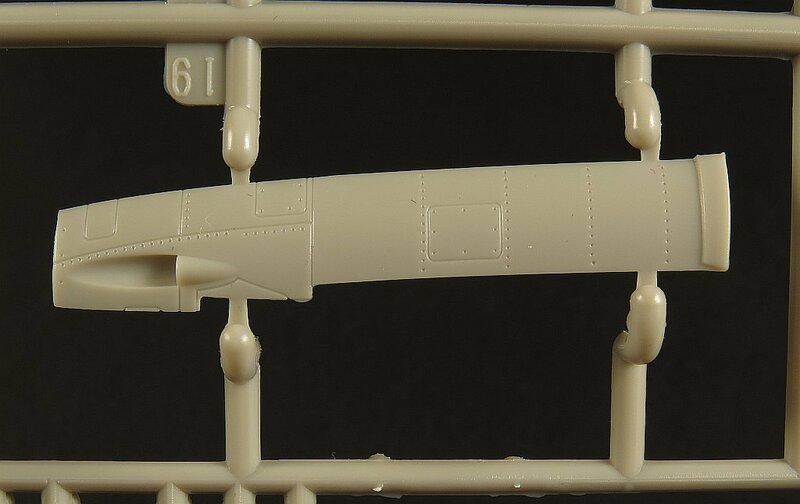 The N by comparison had the wing mounted guns but do not fit the underwing gun pod, as this was specific to the Q. 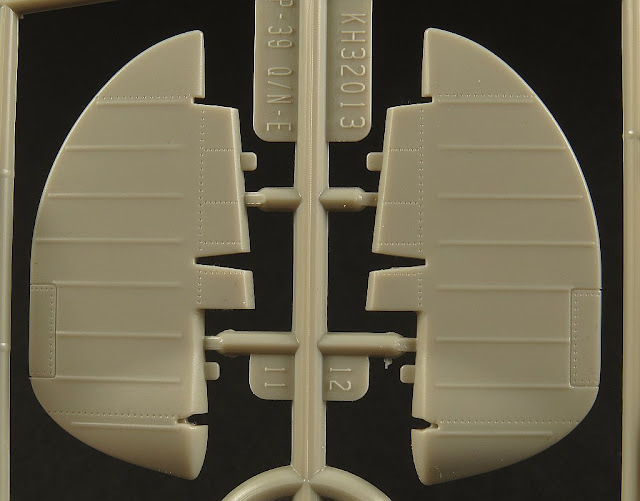 The P-39 had a split flap arrangement (where the top of the flap is fixed and the bottom extends when activated). The kit flap interior looks pretty good with the inevitable ejection pin marks that you will need to deal with. 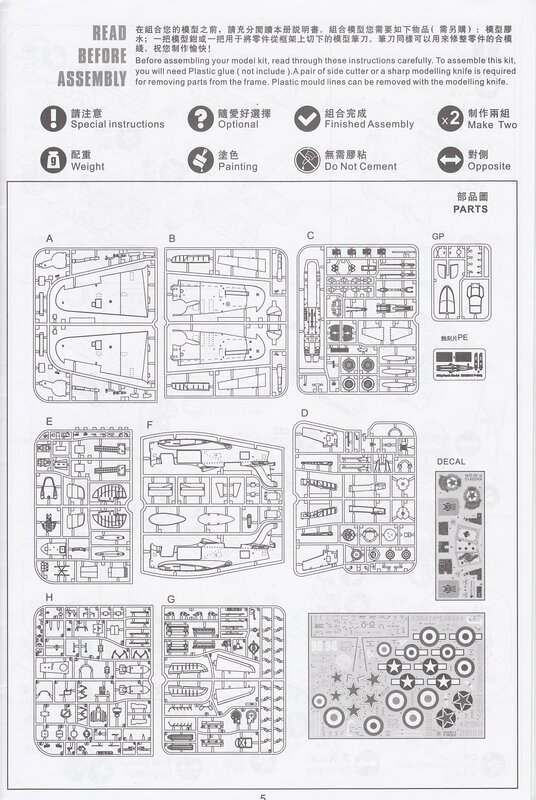 I have the Eduard set designed for the Special Hobby kit and I’ll do some test fitting later to see if I can re-purpose it here. 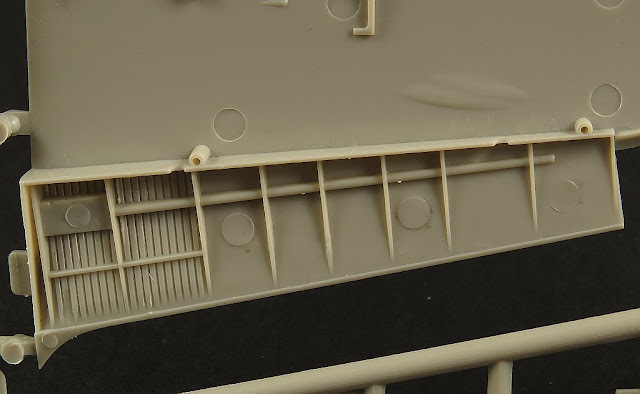 The roof of the main gear well is corrugated and this looks to be well reproduced by KH. 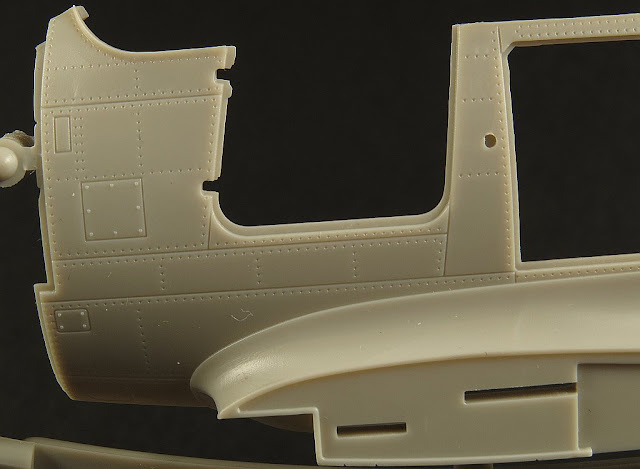 The main undercarriage is a simple affair on the P-39 (as with most WWII aircraft). 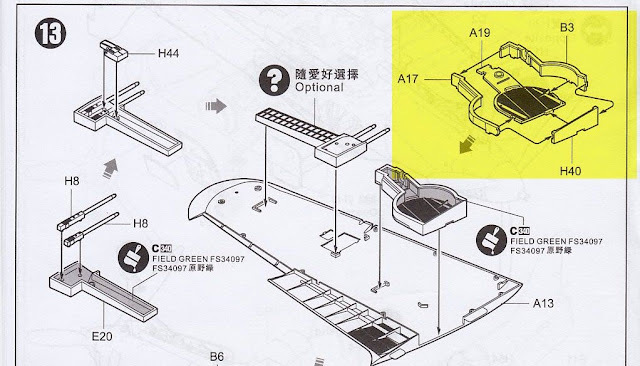 The oleo scissors are provided as separate parts as are the doors. Step 13 of the instructions includes the assembly of the main wheel well roof and sides. 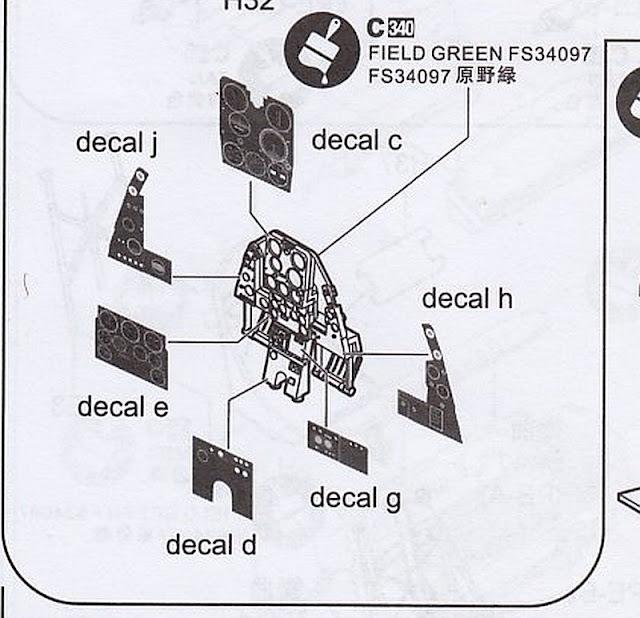 The sides of the wheel well come in sections and you need to assemble them as shown, something that most modellers don’t really appreciate but probably a reasonable way to engineer it in 1/32 (as long as the fit is good). 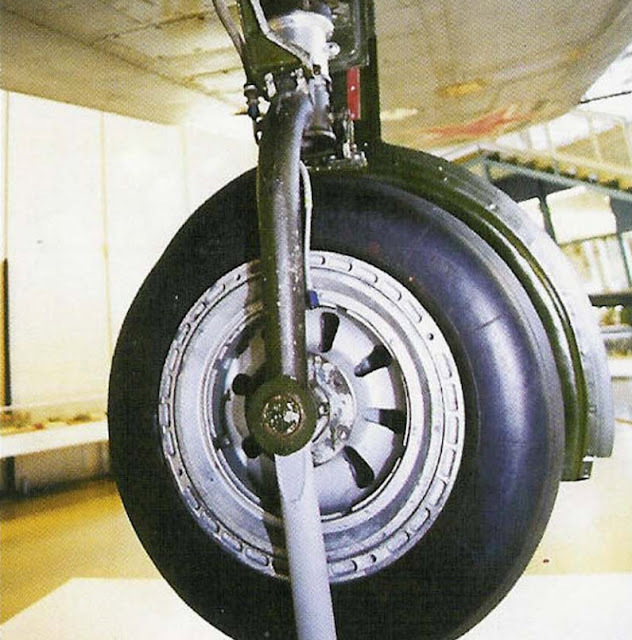 An example of the main wheel well side wall with those ever present pesky ejection pin marks. 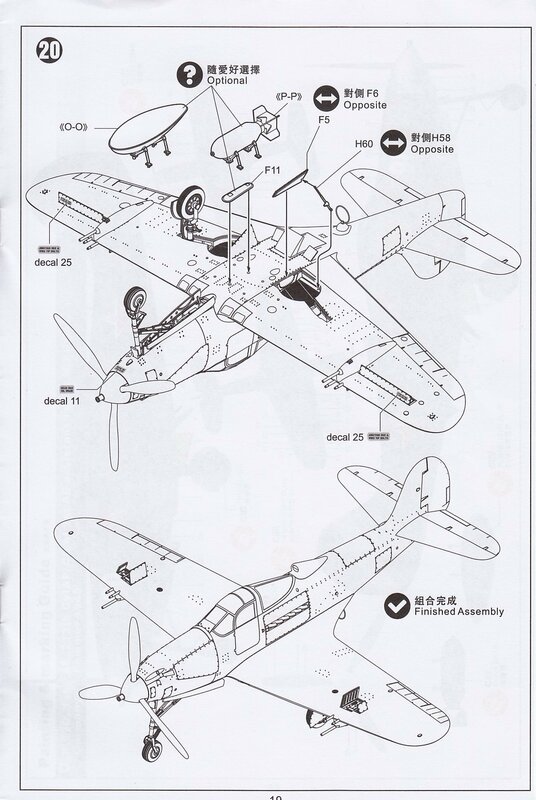 SPRUE B contains the lower wings, flaps, ailerons and the remainder of the main undercarriage parts. 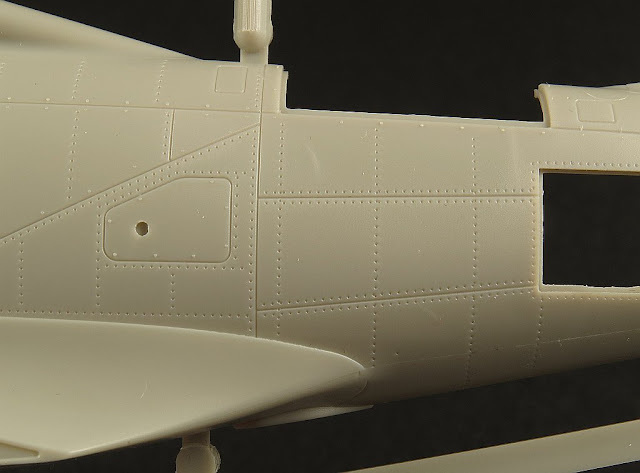 Much like the upper wing, the surface detail on the lower wing is very nice. 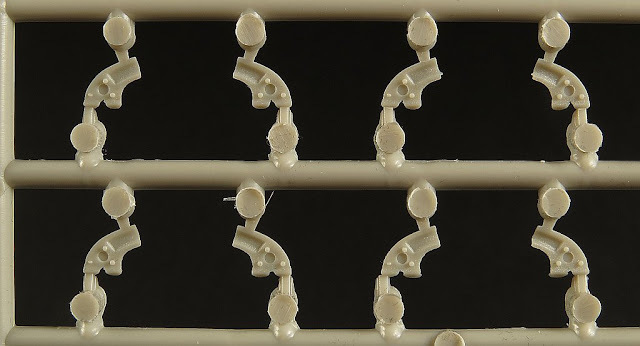 A mixture of raised and recessed rivets and fasteners is present. 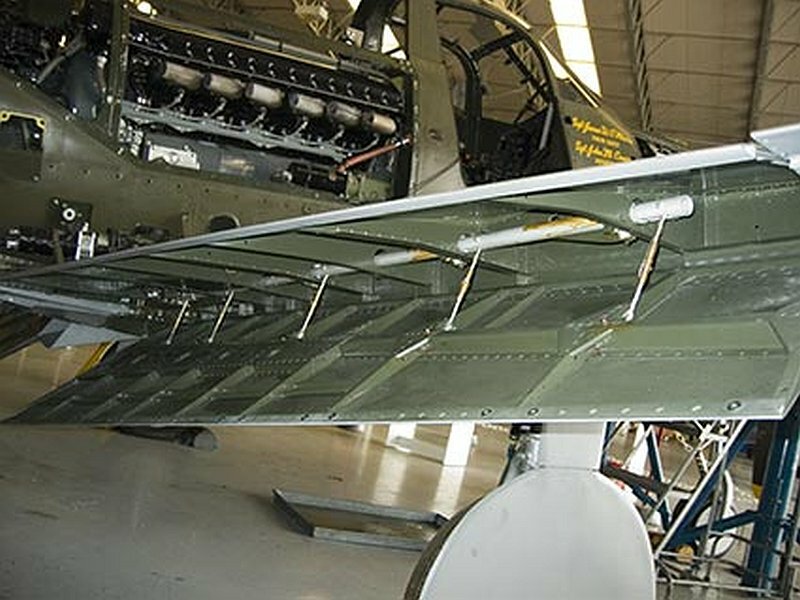 The lower surface of the Airacobra wing was covered in a myriad of access panels. 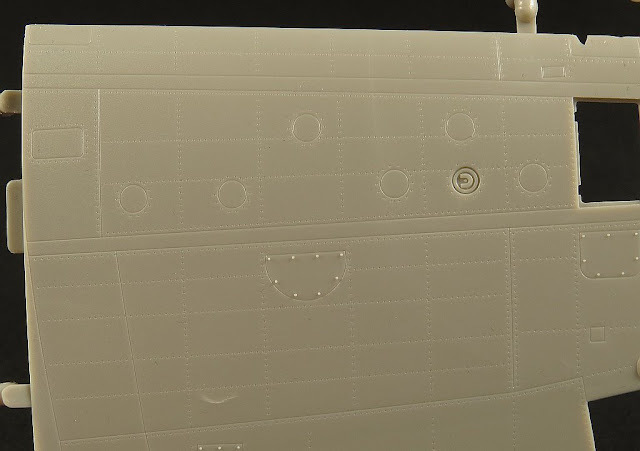 The starboard wingtip has a standard navigation light and 3 coloured ground signalling lamps. 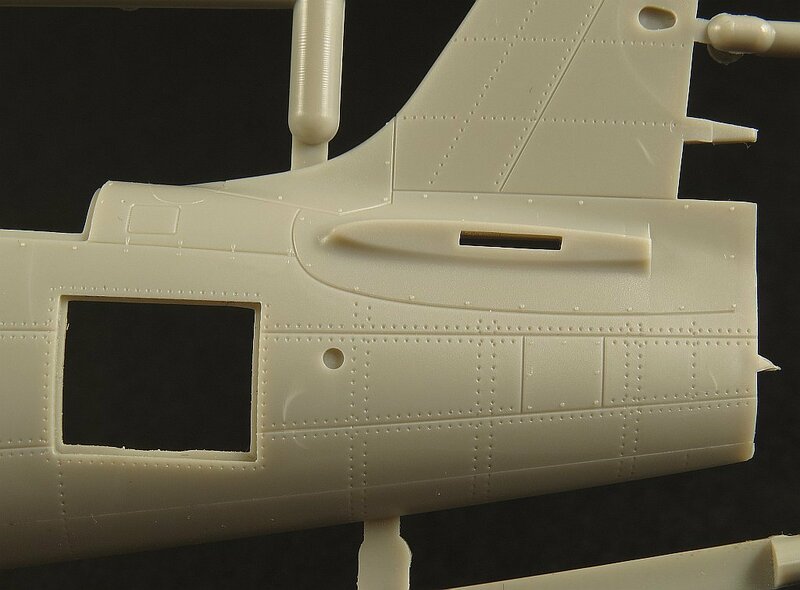 As mentioned above, if you plan to model a Q variant of the P-39 you will need to fill and remove the gun ejection chute slots on the lower wing. 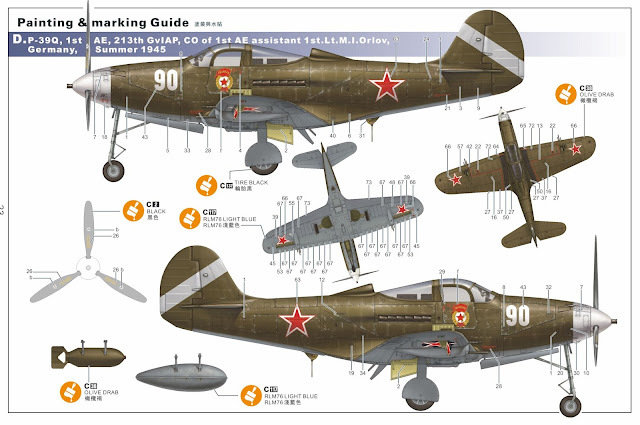 This is especially important if you do a P-39Q in Soviet markings as the USSR Airacobras almost never had the .50 cal wing pod fitted (as this would mostly cover up the shell ejection holes otherwise). 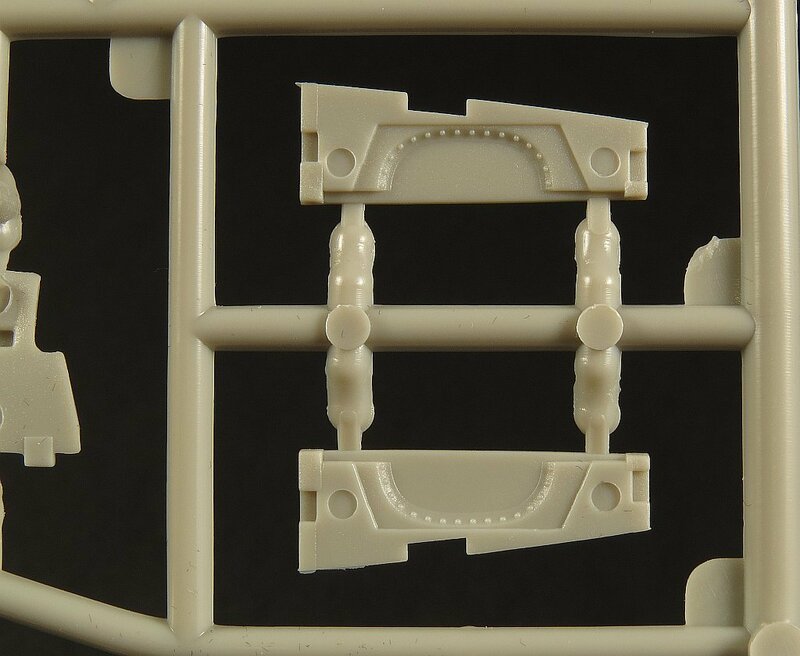 It’s a bit lazy of KH to not provide this as an empty panel with two optional parts provided, one for the N with the ejection slots and the other for the Q without the slots. 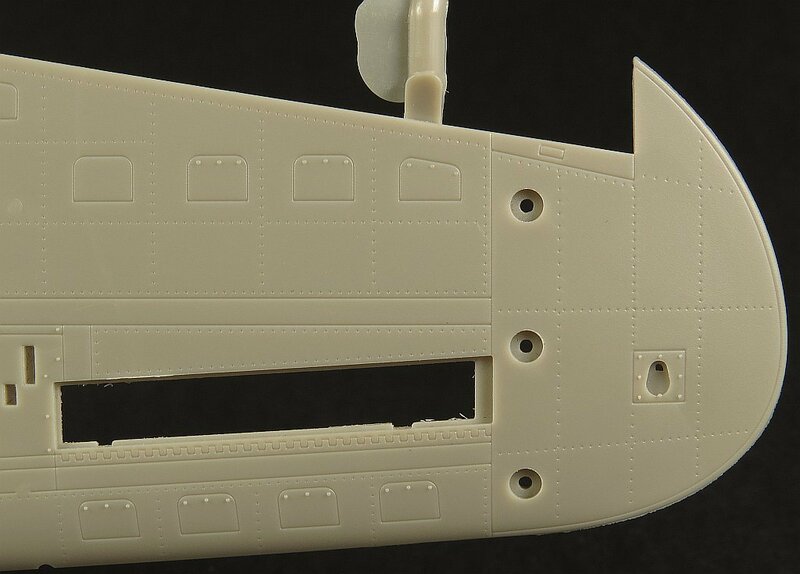 Some nice raised rivet detail is present on the main gear doors outer surface. The interior of the lower split flap is fairly rudimentary. 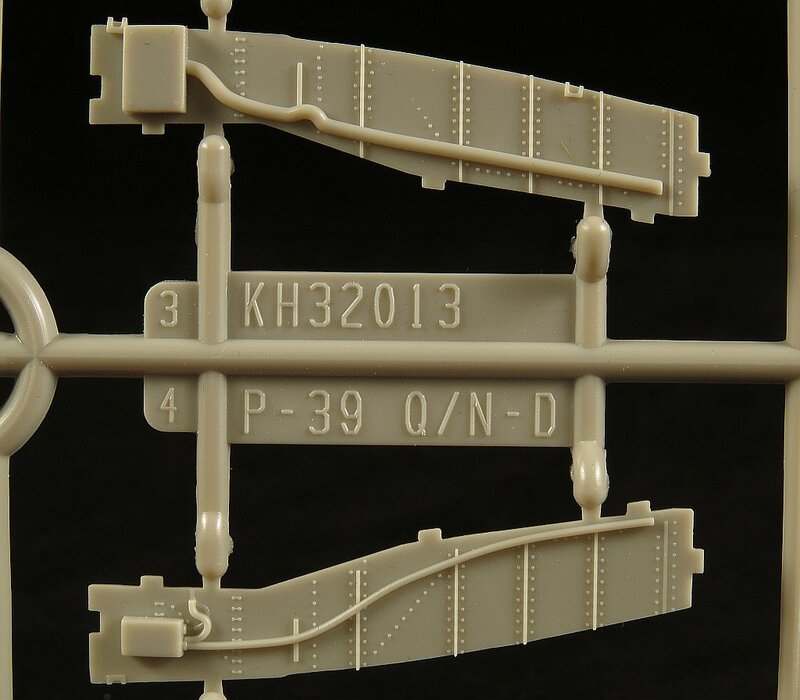 The part is quite thin so it’s not really necessary to replace it with a PE alternate but in 1/32 I would have hoped that KH would put a bit more effort into the raised surface details. 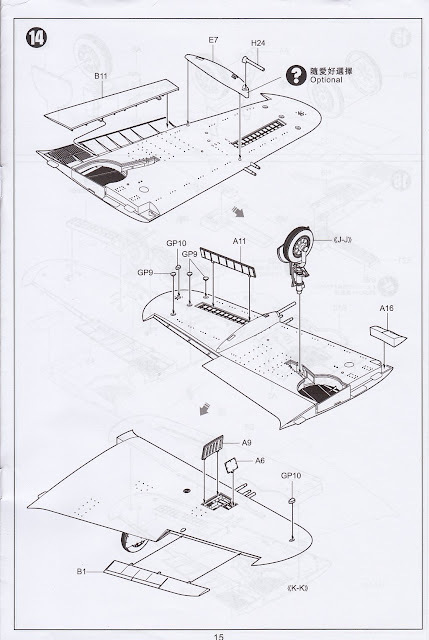 A drawing of the real P-39 flap interior shows the extent of extra detail that could have been added by KH to the plastic part. 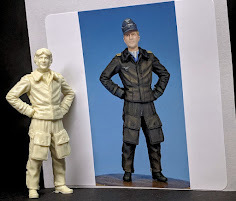 Maybe I’ll be giving those Eduard parts a dust off after all. Like many WWII aircraft, the P-39 had fabric coverings on all control surfaces such as the ailerons, rudder and elevators. KH has provided a passable representation of the stretched fabric sections and the ribbing normally associated with such components. I may sand down the ribbing a little as it seems a bit pronounced to me. 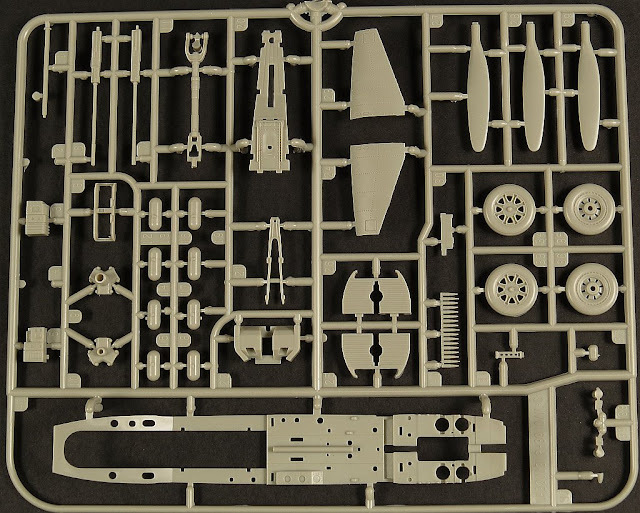 SPRUE C contains an assortment of parts from the interior including the open gun bay, the propellers with hub, and the main wheels and of course the main fuselage interior flooring. The mainwheels are well detailed. A quick check against references shows the hub detail is pretty spot on. The P-39 was essentially designed by Bell around the 37mm Oldsmobile cannon. The cannon had an ammunition capacity of 30 rounds which were stored in an oval shaped feed chute. 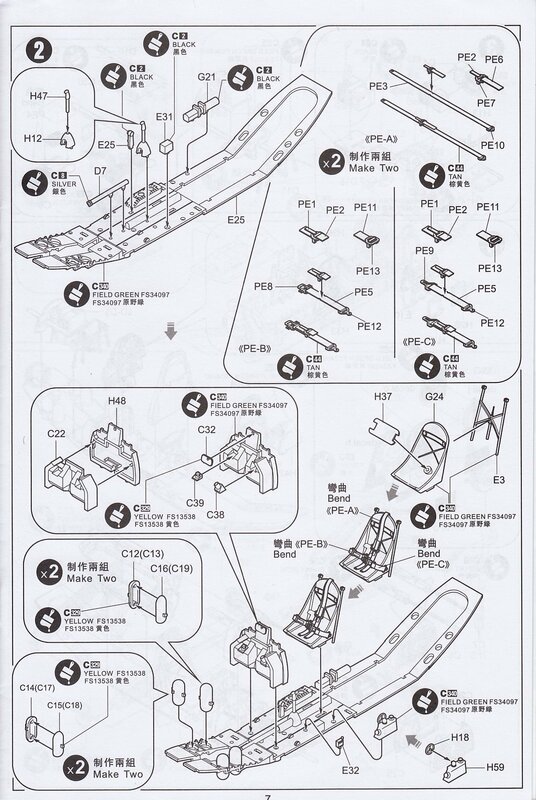 KH provides the shells for the cannon in a straight run and in the instructions tells the modeller to bend these to shape. 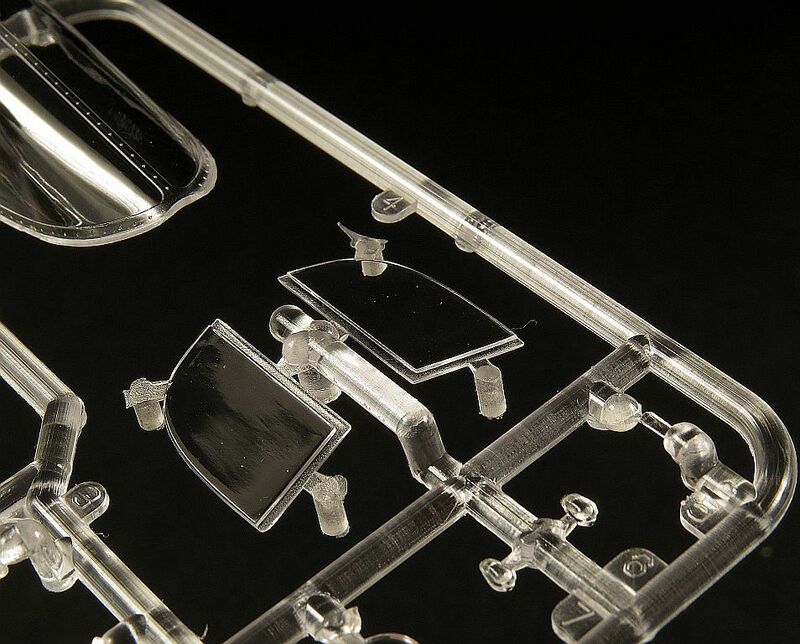 I’d suggest that you soften the plastic in hot water before attempting this otherwise I’m sure cracks will appear. 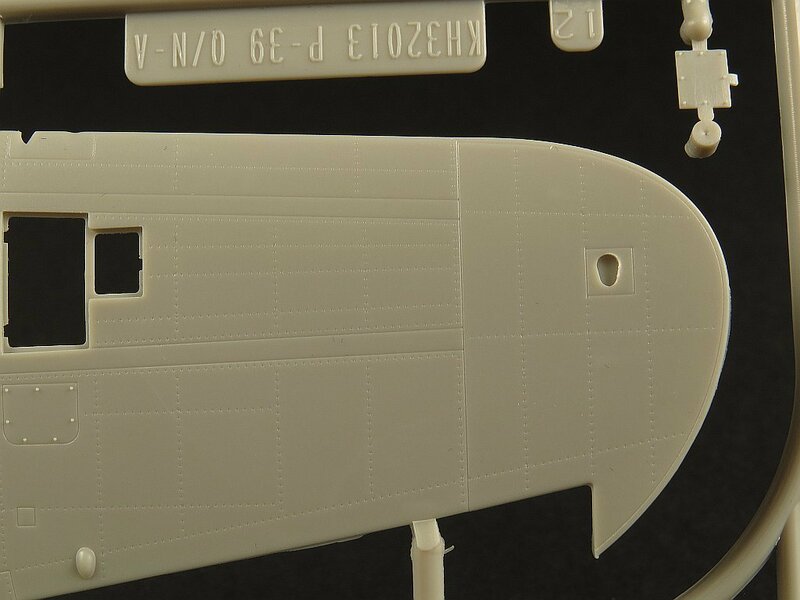 As this kit is designed to allow most of the interior to be visible, KH has provided the fuselage structure for the interior as a single piece (not unlike the real aircraft). 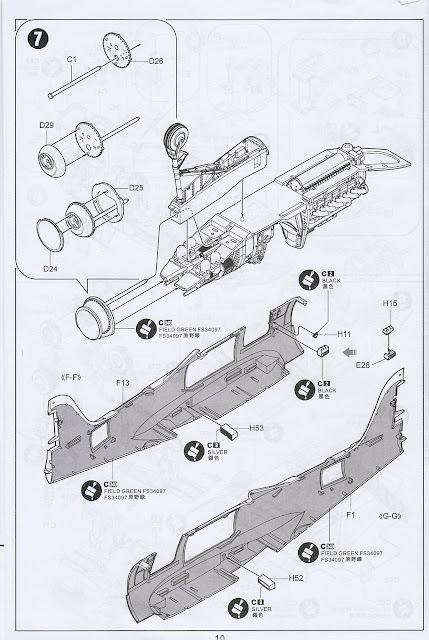 This part, C40 (incorrectly shown as E25 on the KH instructions) is filled with holes into which most of the interior will be attached during assembly. 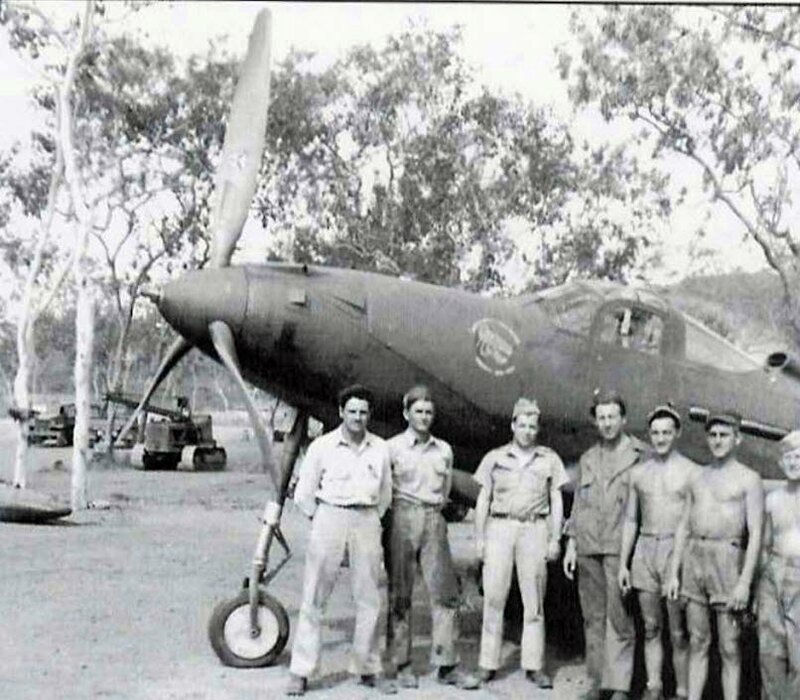 In addition to the single centreline mounted 37mm cannon the P-39N/Q had two Browning .50 cal machine guns installed in the nose (synchronized to fire thru the propeller). 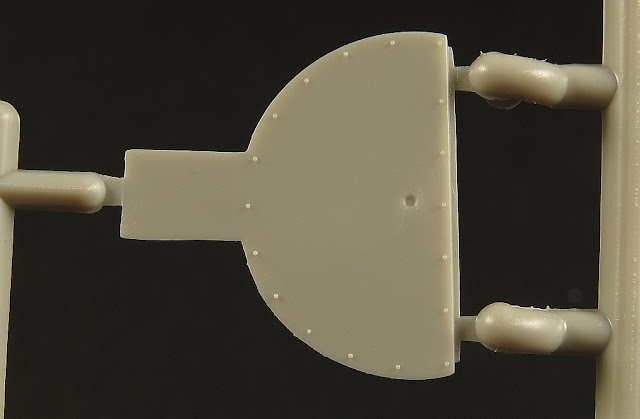 The KH guns are very basic and if you plan to leave the nose open on your model then I would encourage you to find brass replacements from the likes of Master or Profimodeller. 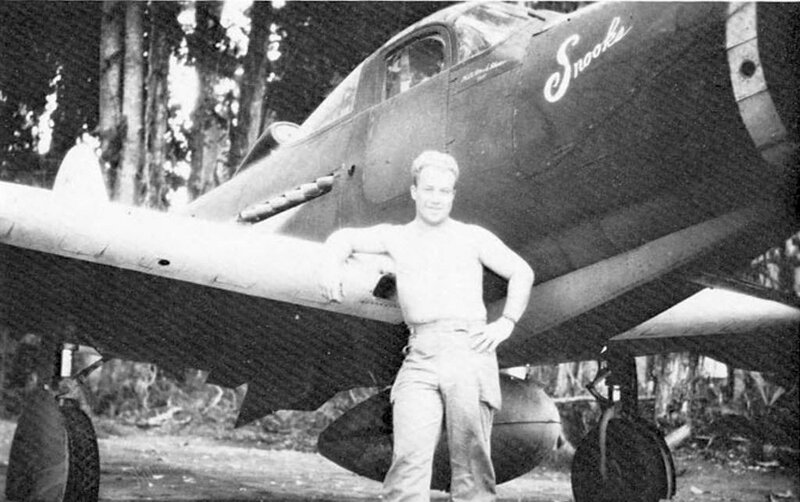 On the P-39 the rear of the .50 cal was accessible by the pilot in the cockpit. 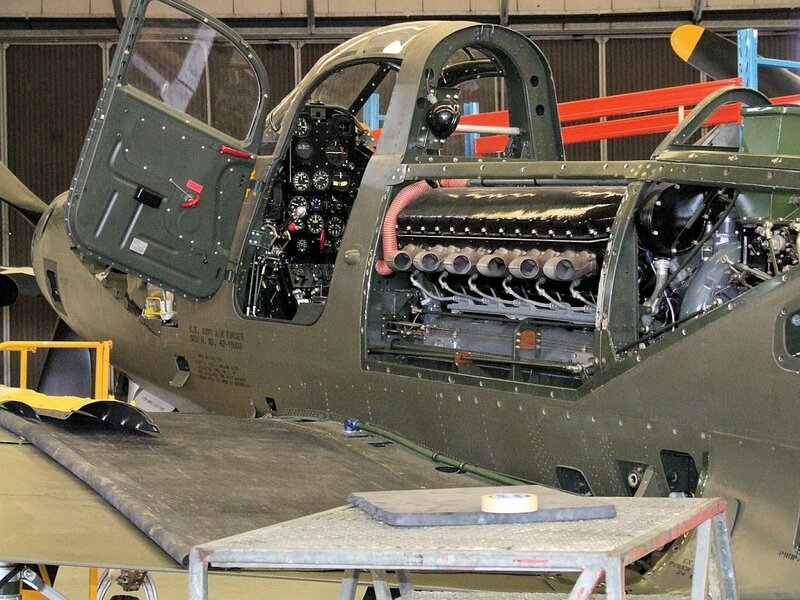 A manual charging handle was accessible to the pilot to prime the guns for firing and to clear jams if needed. 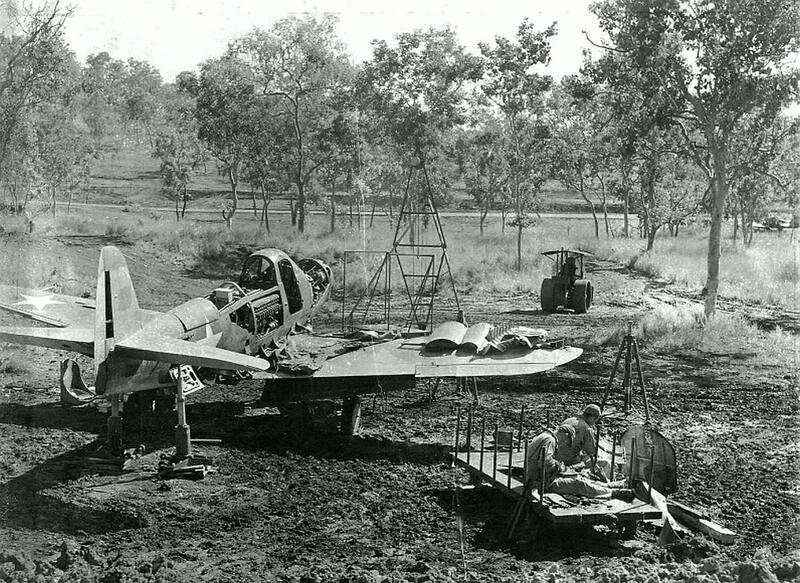 Another first for the P-39 as a fighter was its use of a tricycle undercarriage with a nosewheel. This was a simple affair with a single non steering wheel. 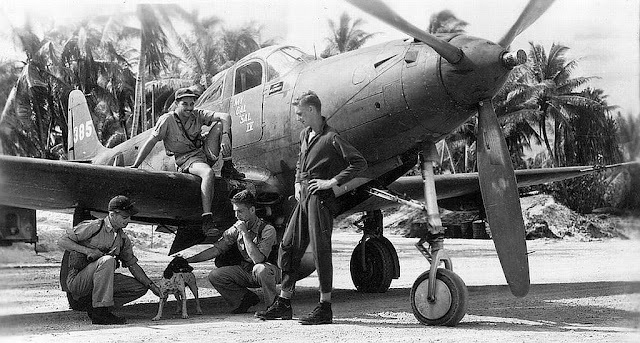 P-39 variants were fitted with a range of propellers during the war as supply of the standard Curtiss-Electric units varied. 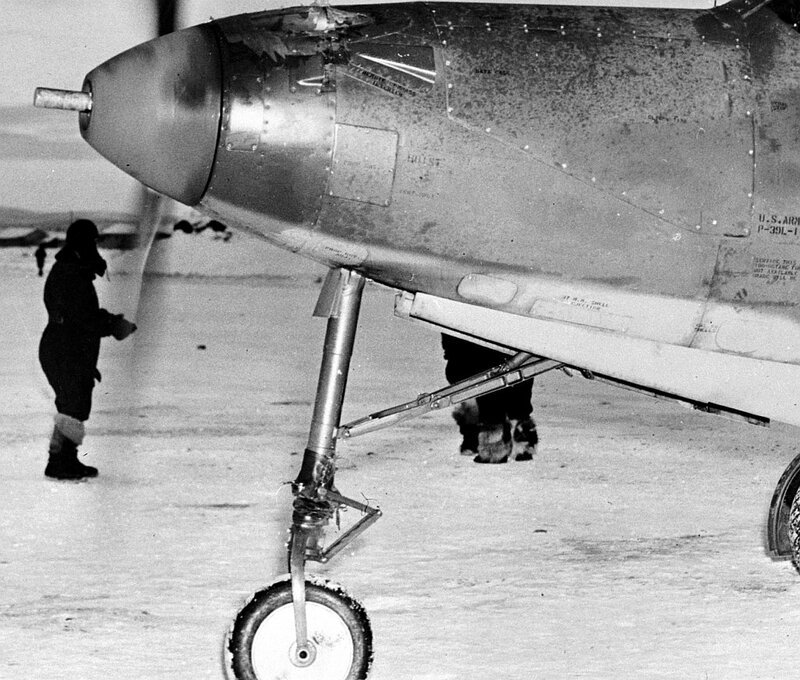 The first 166 P-39Ns were fitted with an Aeroproducts propeller having a 10 ft. 4 in diameter. Beginning with the 167th P-39N, the Aeroproducts propeller was enlarged to 11 ft. 7 in. 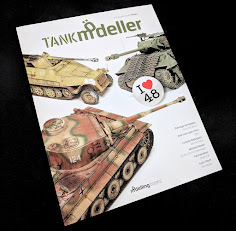 (source: Mushroom Model Magazine #6106). 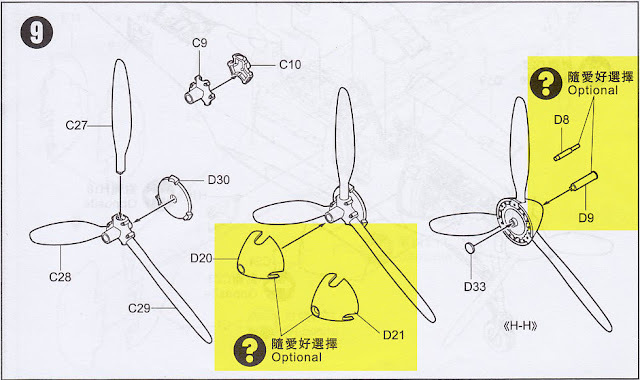 Propellers are something that seems to always give kit manufacturers trouble. 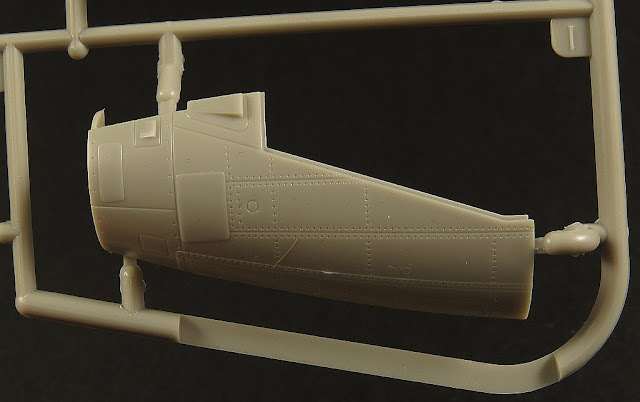 Getting the subtle curves and shape of props is obviously a challenging problem. 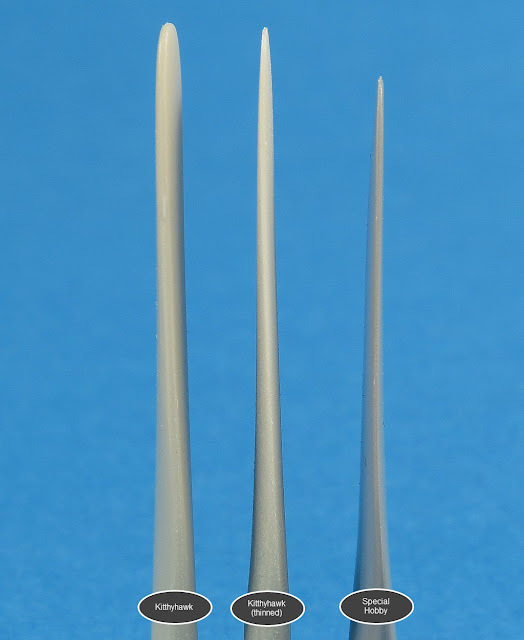 When I look at the KH props I am not convinced they have enough of a twist in them from base to tip. 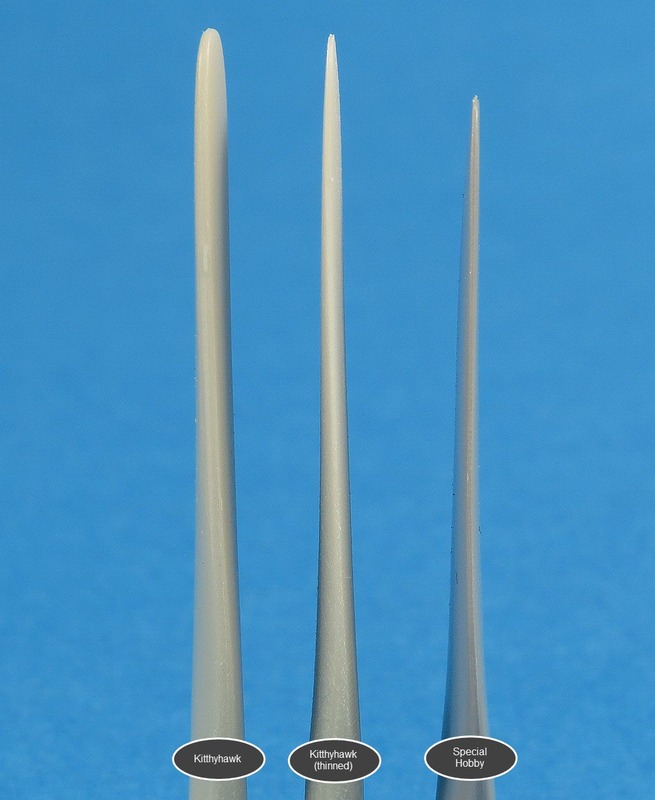 They look quite flat to me along their length and they also seem quite thick (over scale) in terms of cross section. 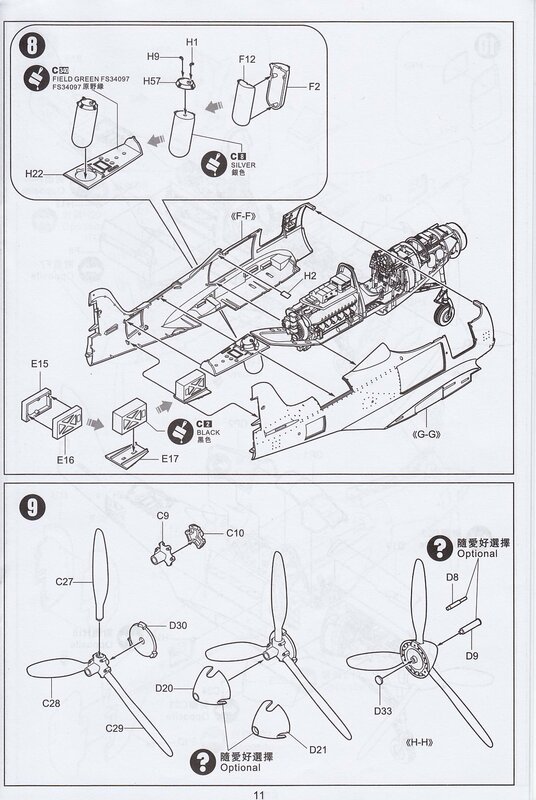 To confirm my suspicion I removed the propellers from the sprue and compared them to the Special Hobby P-39 kit. 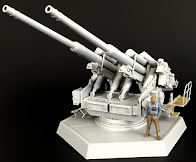 I believe that I can reduce the thickness of the kit provided props to something closer to scale accuracy. 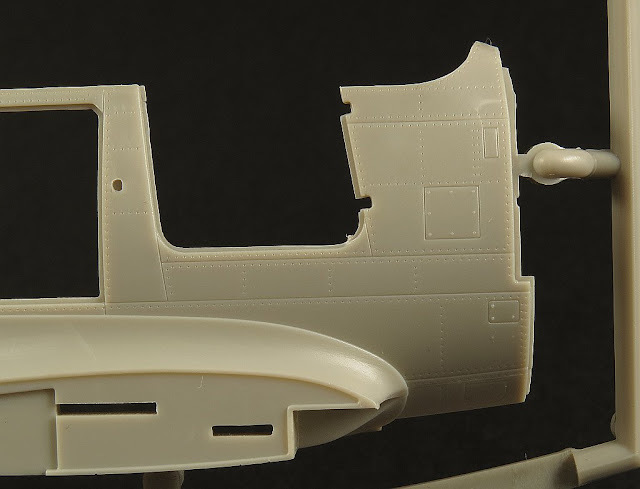 It may also be possible with careful shaping to accentuate the “twist” along the length of the prop. The final part of the C sprue worthy of mention is the upper roof of the nose wheel well. 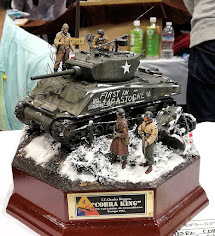 The part is nicely detailed and provides a fair representation of the real item. 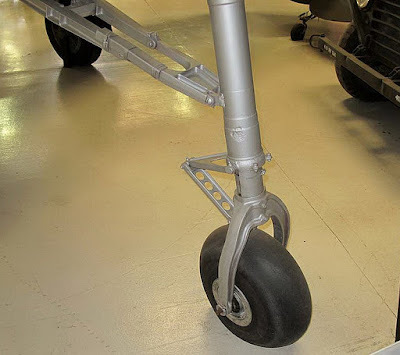 A keyed hole is provided to mount the nose wheel strut. 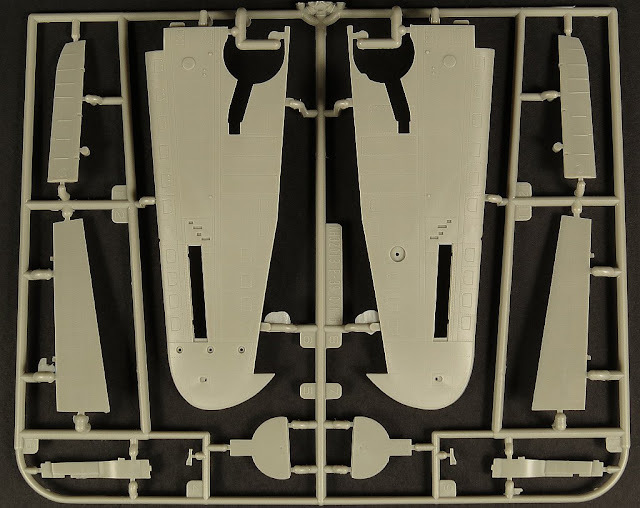 SPRUE D contains parts that focus on the nose section of the aircraft. The outer skin side and top nose panels, spinner(s) and reduction gearbox. 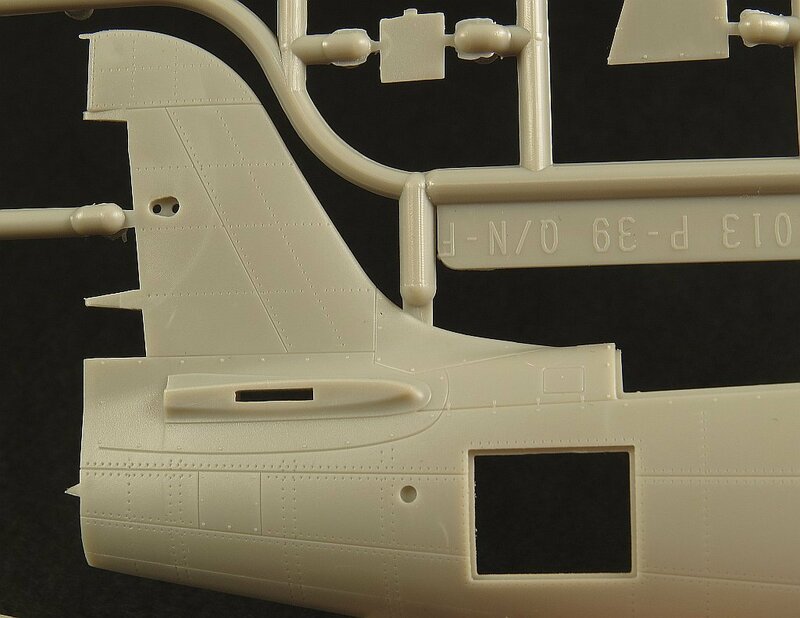 The P-39Q/N differed in external appearance from the early models by the inclusion of several air vents on the nose (these were introduced on the P-39K). KH have provided these vents but they are moulded as solid plastic. I would have preferred if they had provided them as separate pieces that could be glued in place so as to better represent their sheet metal fabrication. 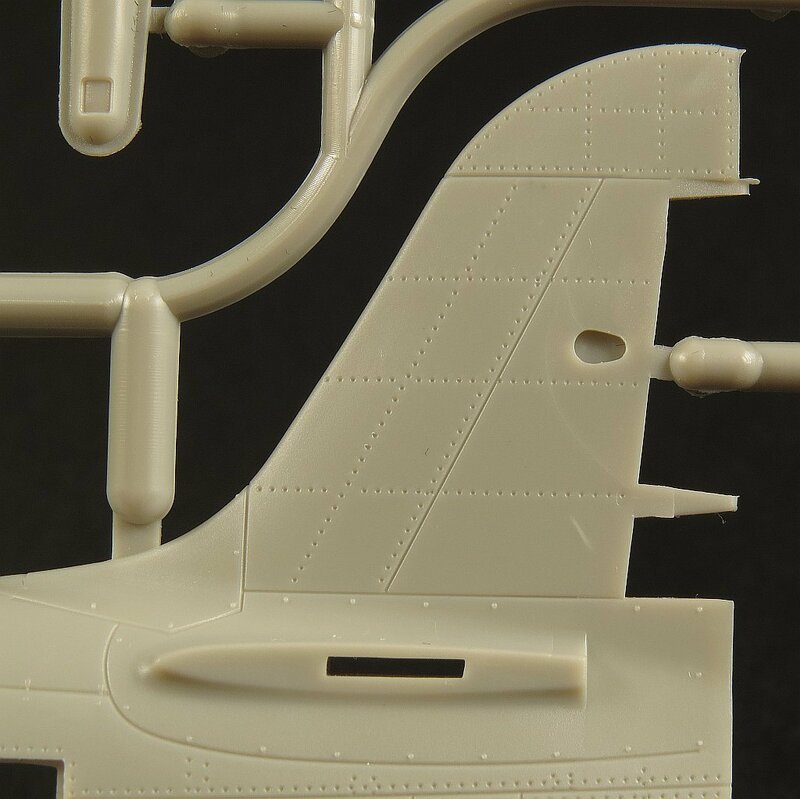 The top panels for the nose are provided as two parts (which is correct for the removable section above the nose gun bay). The section closest to the spinner is not removable and is therefore not split down the middle on the real aircraft. 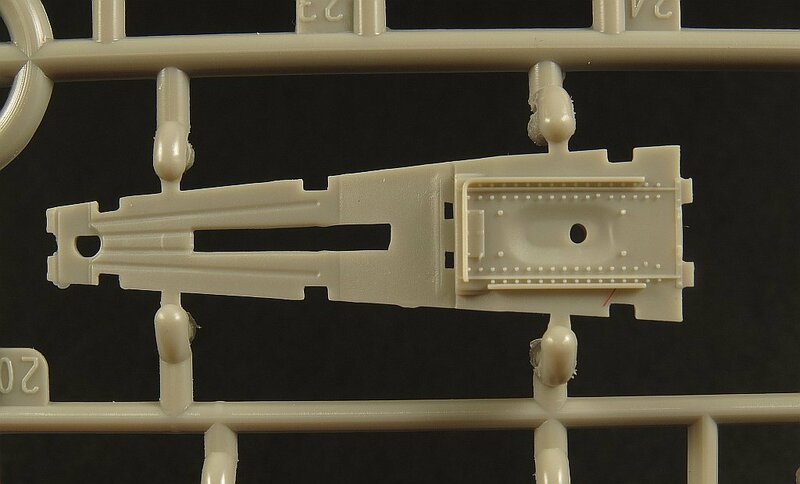 I plan to open up the gun bay (including the top so it can viewed properly) so will need to cut the KH parts to enable the top panels to be removed correctly. 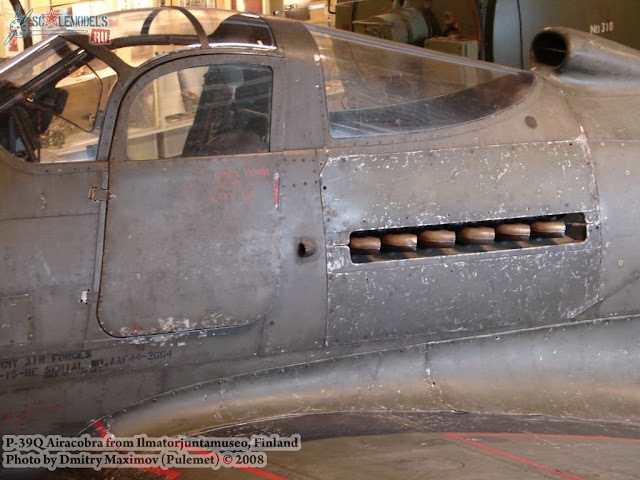 The P-39 had two different cannons fitted depending on the operator and variant. 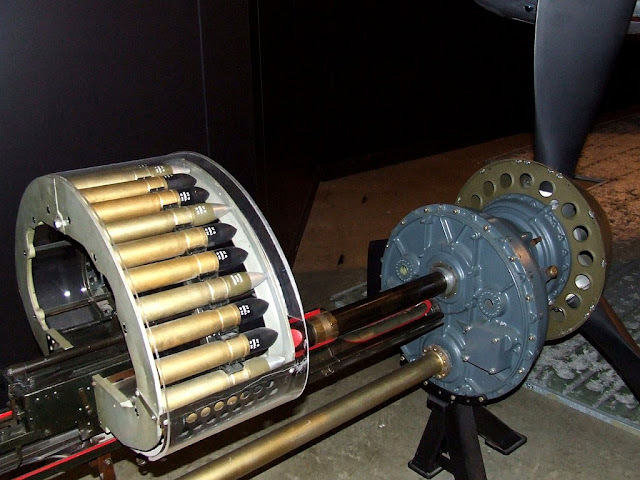 The original Oldsmobile 37mm cannon and a standard 20mm M1 cannon. 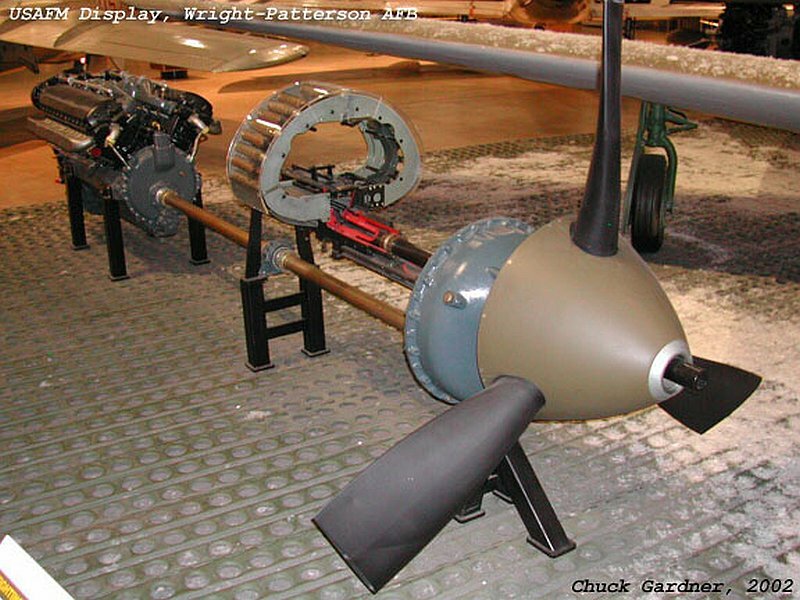 Like the P400, the P-39D-1 was armed with the 20mm M1 cannon. From the P-39D-2 onwards the 37mm cannon was equipped and remained the standard weapon in later variants. 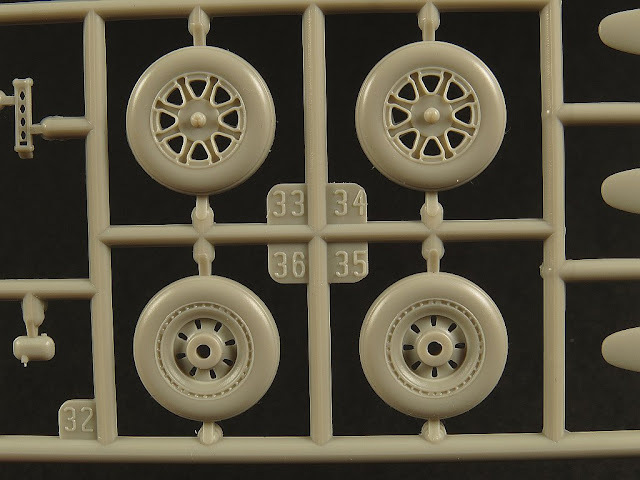 KH provides two spinners and from what I can tell the only difference is the size of the hole in the centre. Unfortunately the KH instructions are of little help determining if or when each spinner should be used. 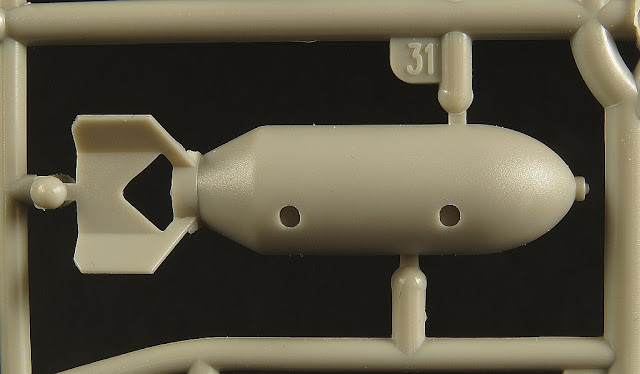 Two optional barrels are also provided (parts D8 or D9) which presumably represent the aforementioned 20mm and 37mm cannons respectively. The sidewalls of the nosewheel well are nicely detailed and with appropriate painting and washes will come up fine. 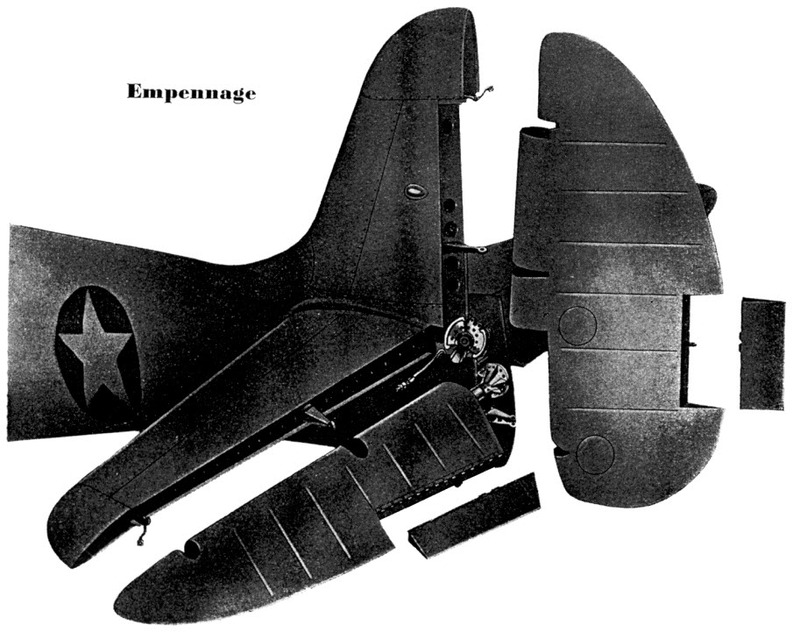 Due to its unusual design with the centrally mounted cannon sitting where the engine (and driveshaft) would normally be the Bell designers had to come up with a way to allow the driveshaft to run under the cockpit and then be reduced from engine revs to the appropriate propeller revolutions speed. 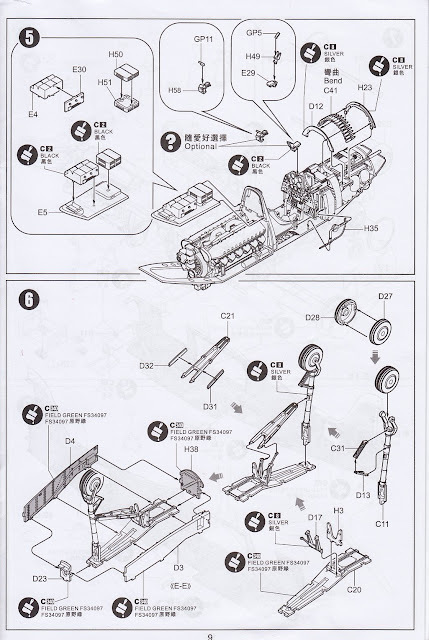 They solved this problem with a reduction gearbox sitting just behind the spinner which accepted the off centre driveshaft. This allowed the cannon to slide thru the very centre of the spinner. The reduction gearbox will be quite visible on the finished model with the gun bay open and so KH have put quite a bit of effort it getting the details of this part sorted out. A new redesigned nosewheel with low profile tyre to reduce drag during take-off was introduced on the P-39L and was often retrofitted to earlier versions. The nosewheel provided by KH does not seem to match any of the types seen in photos across the P-39 family!! 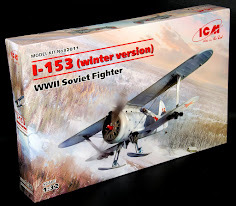 Once again for comparisons sake I dug out my Special Hobby kit. 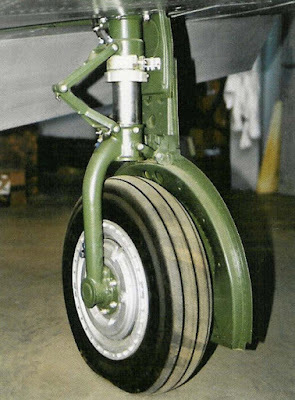 The KH wheel is kinda somewhere in between the two actual hubs found on P-39’s and hence does not really accurately match either as best I can tell. 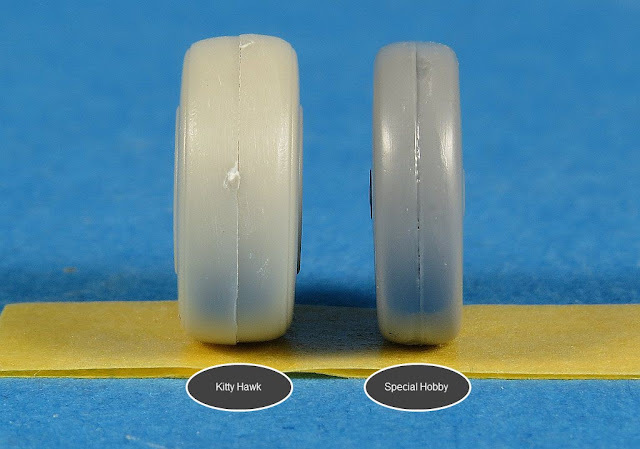 The KH nosewheel is also much wider than its Special Hobby counterpart. To my eye the tire should be probably be somewhere in the middle of these two. Note the low profile nosewheel seen in this wartime photo of a P-39L. 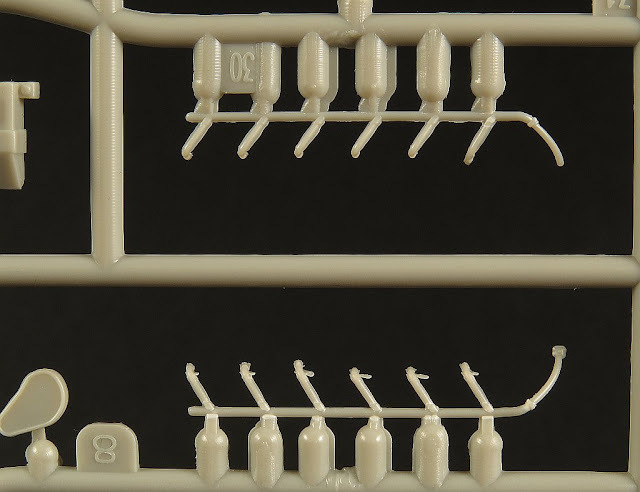 SPRUE E contains a mixture of parts from all over the airframe. We have the rudder, the wing .50 cal gun pods (only fitted to the Q), the cockpit “car style” doors, the main instrument panel and several other bits and pieces. To allow ease of access from either side of the fuselage the P-39 was fitted with “car doors”. 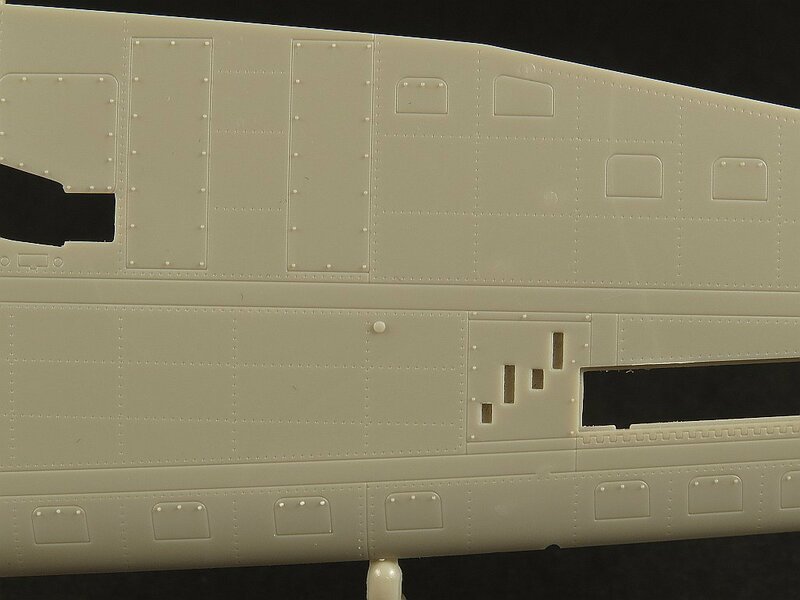 KH have continued the rivet detailing on the door but I am not convinced for the need for rivets running across the face of the door. 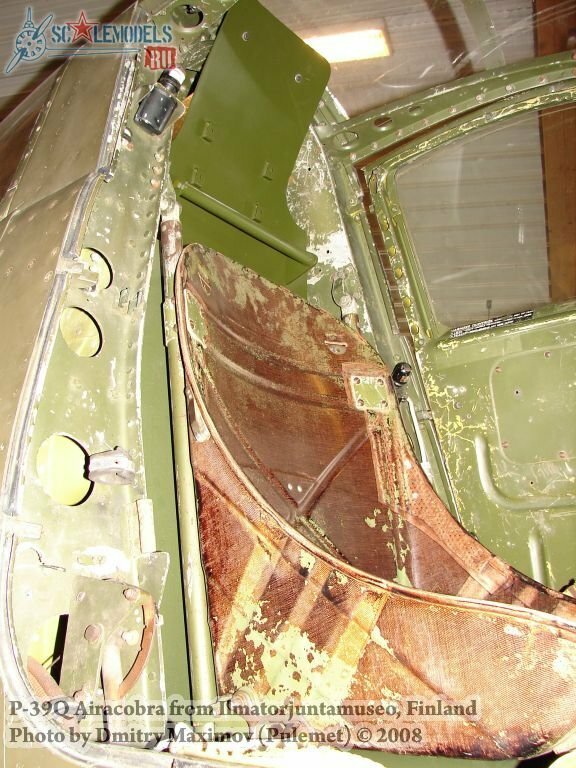 Photos clearly show the riveting around the edge of the door frame but it less clear about the body of the door. I guess the door sheet metal had to be held to the door internal frame somehow. 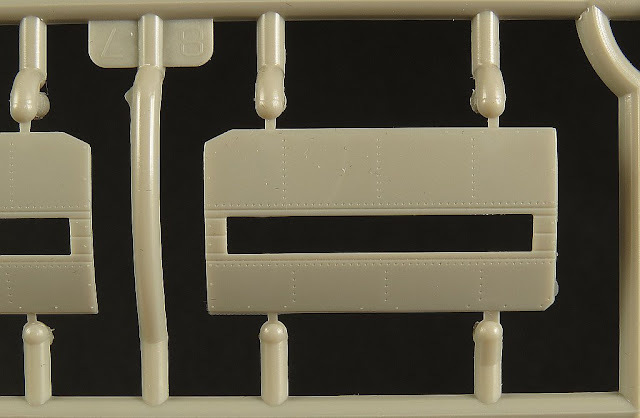 KH have decided to mould the door itself in solid plastic and the window (which could be wound up and down just like a car) are separate on the clear sprue. 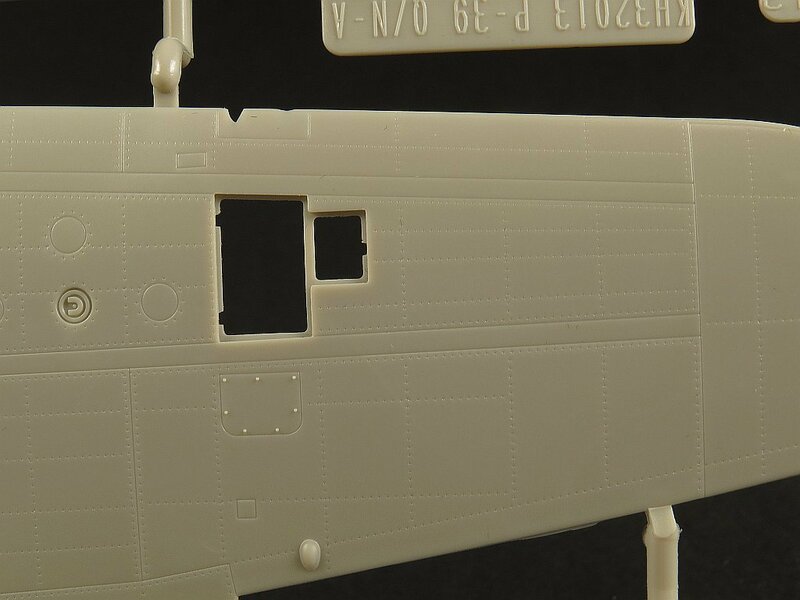 I much prefer the method used by both Special Hobby and Hasegawa in their 1/48 kits which was to mould the whole door in clear. 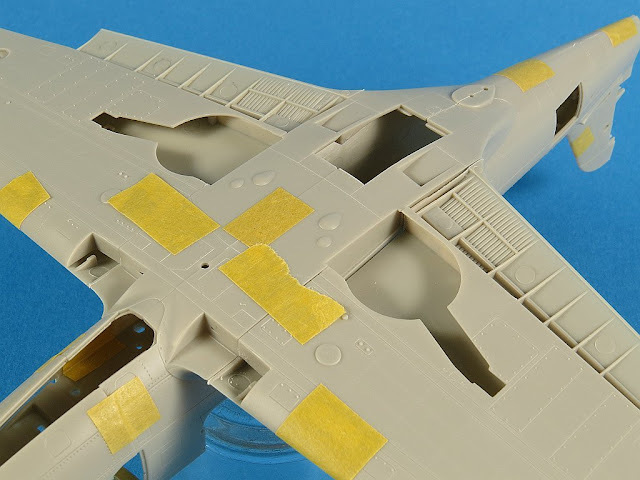 This means we only have to mask the window rather than having to glue it (which is always more risky when clear parts and glue are involved). The instrument panel in the P-39 was a fairly basic affair. 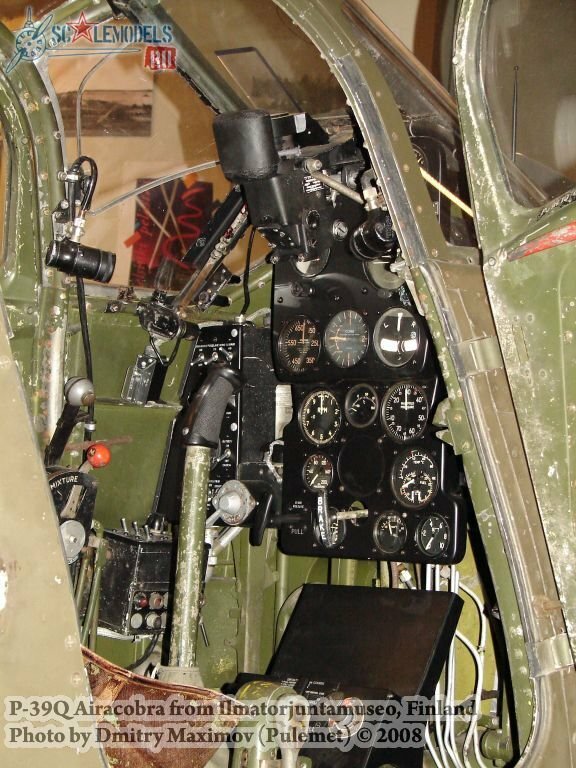 Flight instruments were arranged in a standard array in the centre. 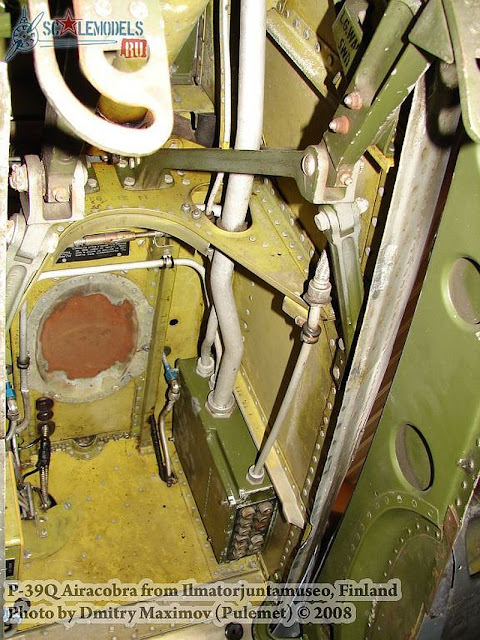 The two large cut-outs either of the centre panel were to accommodate the rear end of the .50 cal machines guns with their manual charging handles accessible to the pilot. 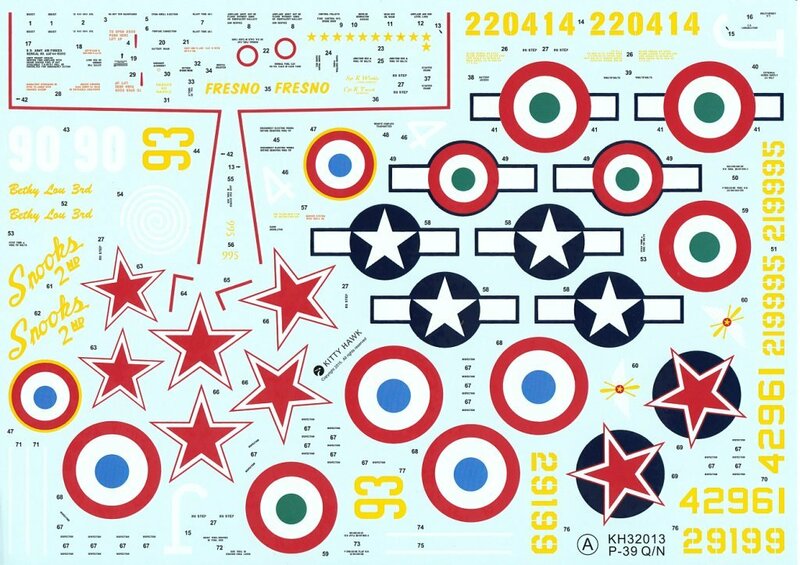 KH provide the instrument dials as multi part decals. I’d be more inclined to either punch out each dial or use an aftermarket option from Airscale. 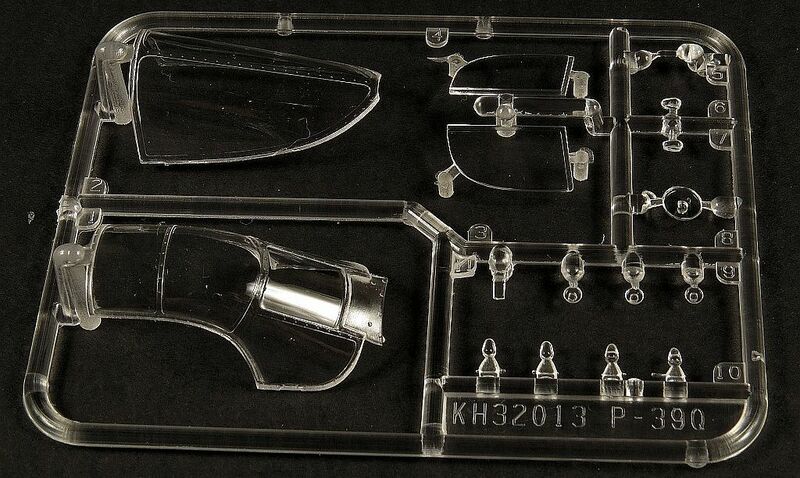 The decals, even under high magnification, look sharp and based on my use of KH decals previously work well. The cockpit turnover bulkhead is capable of withstanding loads considerably in excess of the aircraft weight in the event of a crash resulting in the aircraft flipping. 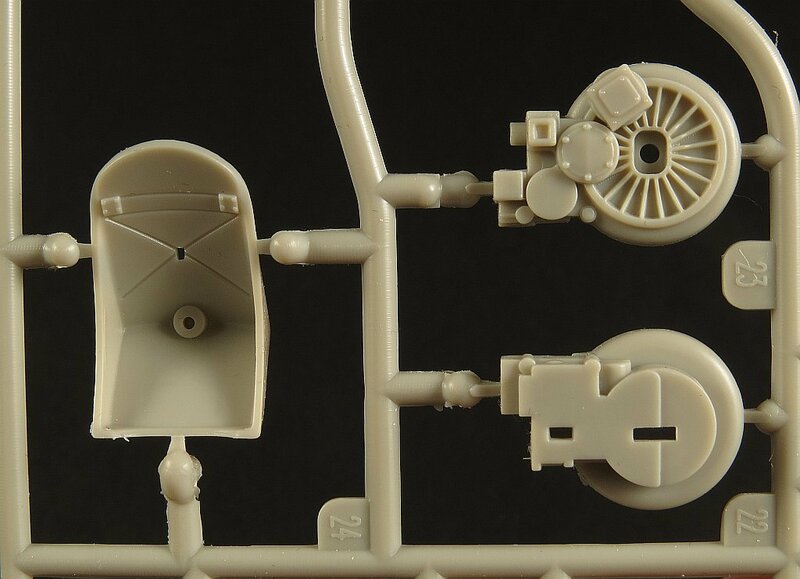 Note also the circular access hole for the driveshaft at the very bottom. One thing that KH seems to have missed completely is the armoured glass in the turnover bulkhead. The aft armour glass is 2­1/2 in. thick and is located in the curve of the fuselage turnover beam aft of the pilot. It is held securely in place by a jamb nut and dovetailed screw which fastens to the top inside curve of the turnover beam. Modellers will need to fabricate this from some clear sheet plastic. 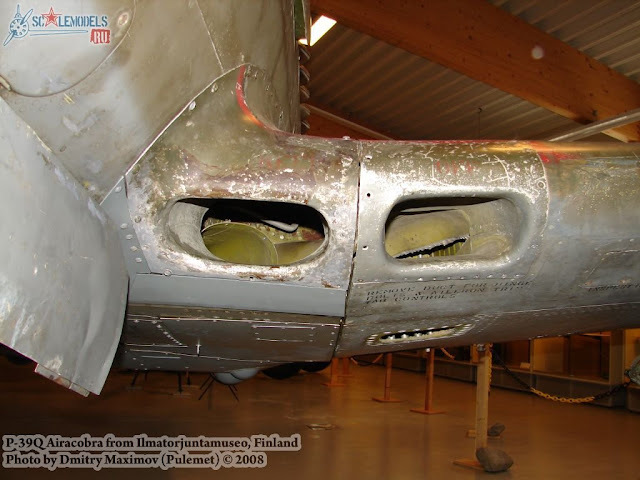 KitthyHawk do provide a part that replicates the head armour plate shown here on this ex-Soviet P-39Q on display in a museum in Finland. The head armour plate is clearly not original (or if it is has been repainted) so I’m not sure if this is a common feature or not. 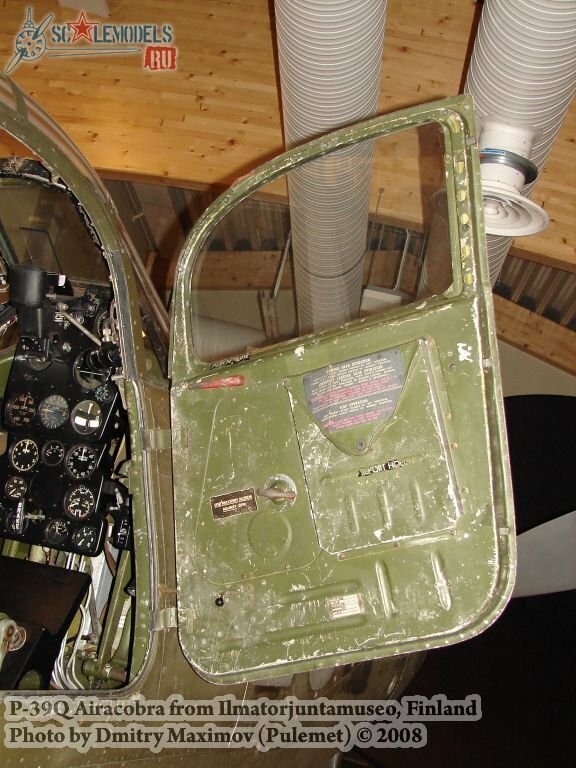 All the photos of wartime P-39’s I could find showed only the armoured glass fitted to the turnover bulkhead. 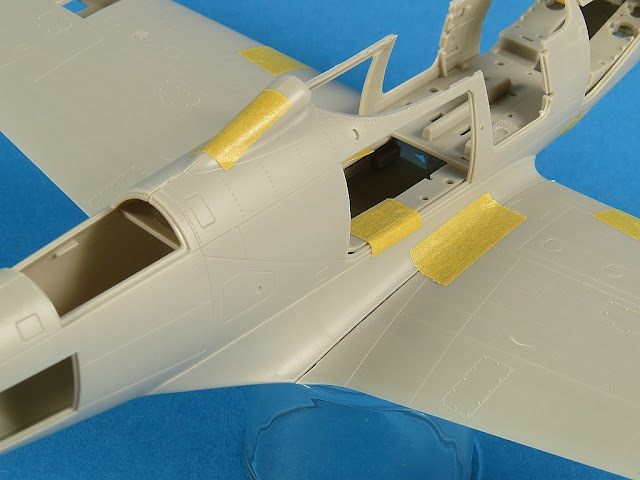 The P-39 rudder was fabric covered. KH have reproduced the ribbing typical of such fittings with raised ribs. These can normally be accentuated by shading during the painting stage if desired. The P-39Q incorporated a 0.50 cal machine gun pod which replaced the two .30 cal wing mounted guns of the earlier Airacobras. It was not possible to fit the pod to an aircraft which had the wing mounted guns fitted (i.e. 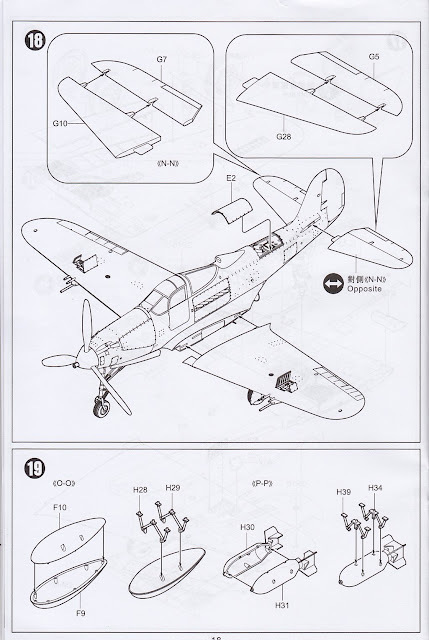 any variant other than the Q model). 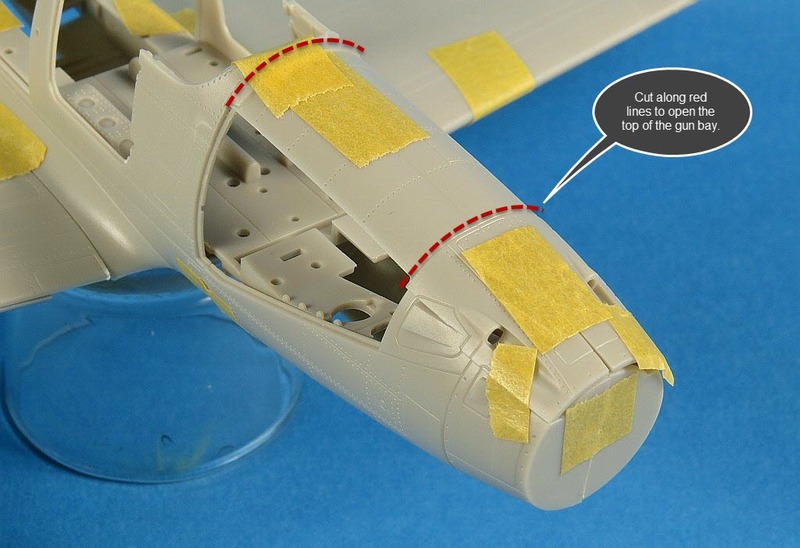 Please bear this fact in mind when building your model as the KH colour plates would have you believe that both should be fitted. Step 14 of the assembly instructions do show the pod as optional but as usual no further information is provided by KH. 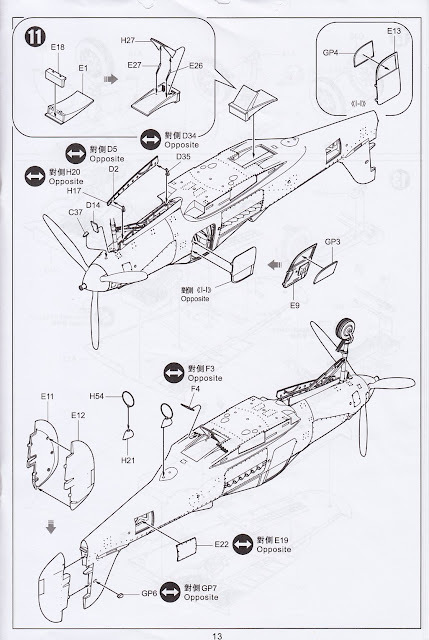 It’s also worth noting that many (if not all) of the Q’s that were used by the Soviets never had the wing pods fitted (at their request) relying rather on the two .50 cal and 37mm cannon in the fuselage for hitting power. 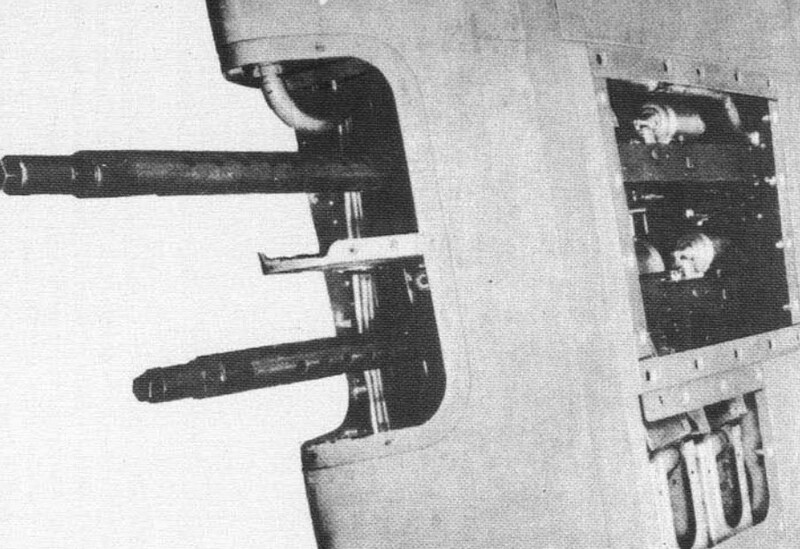 Each set of .30 cal wing guns has an ammunition box located outboard of the guns between the front and rear beams. Boxes contain 1,000 rounds, 700 of which are considered alternate load. Interestingly the ammunition boxes, once filled, were loaded into the wing from the bottom. 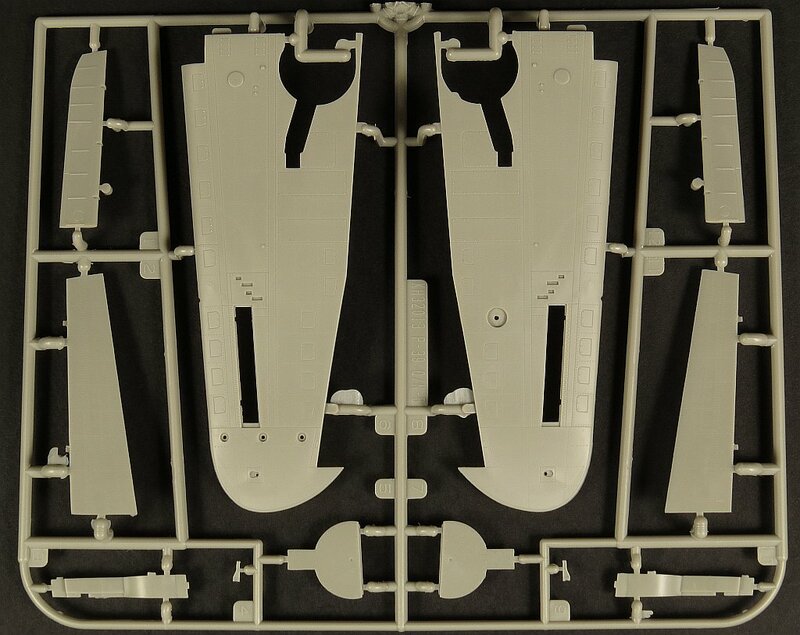 SPRUE F contains the main fuselage halves, belly drop tank and engine access panels. 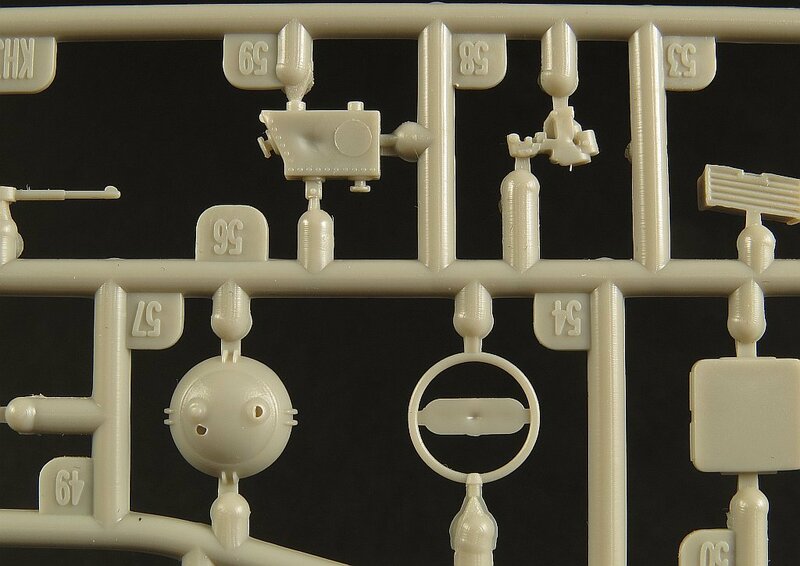 The surface rivet and panel line detail is very well done. 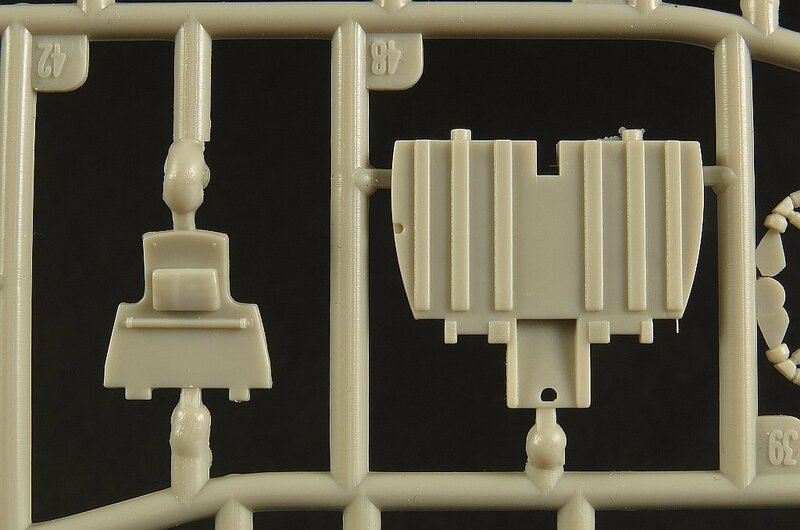 For 1/32 the size of the rivets appear to be spot on (for my taste) and the bulk of the panel lines are deep and sharp enough to hold a wash following several coats of paint. 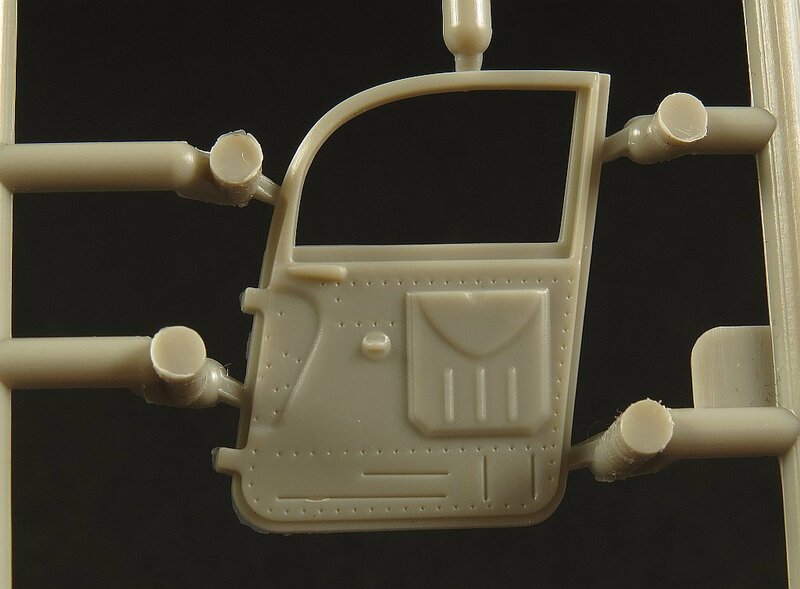 The cockpit interior is pretty sparse (much like the real thing). In 1/32 there is always more detail that’s worth adding. 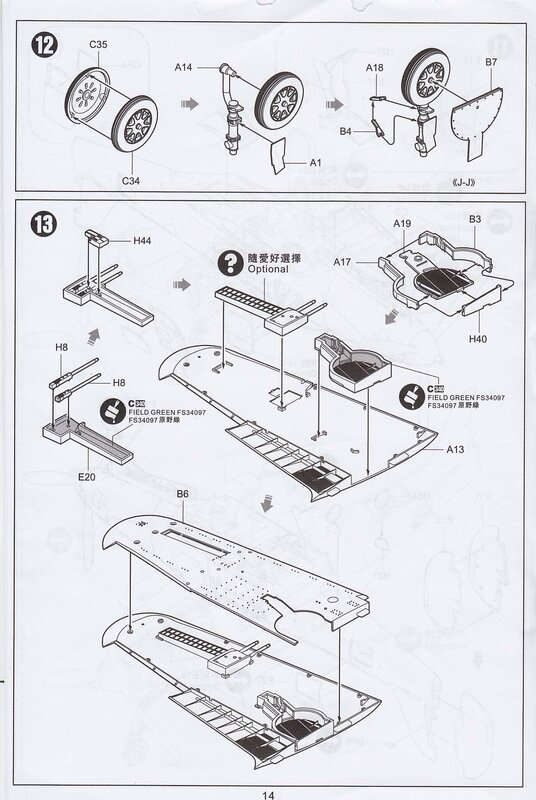 I’ll see how I feel once I get to this part when building. The engine covers are actually in two pieces (top and bottom) on the real aircraft. 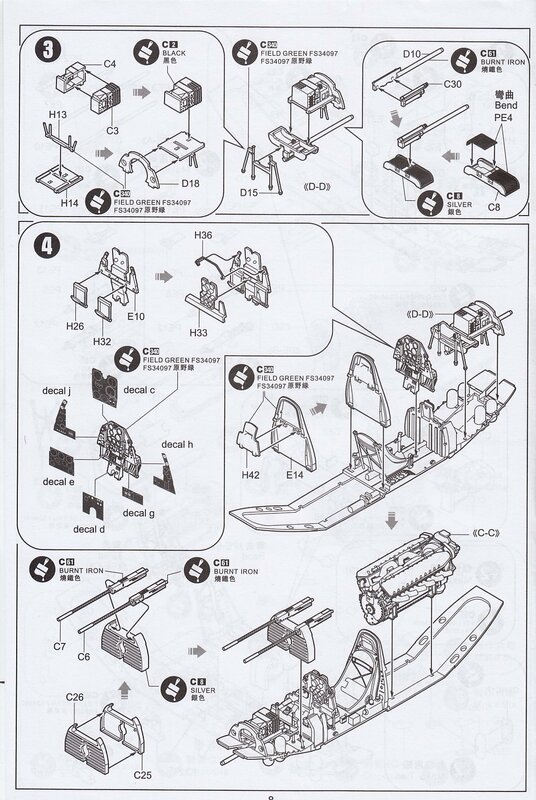 If you plan to leave this off your model be sure to cut these parts in half and display them next to your model. The P-39 fuel system consists of two 60­gal. 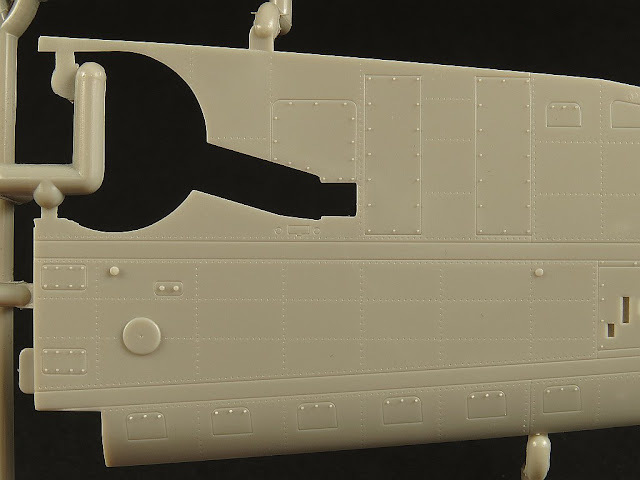 tanks integrally built into the outer wing panels. 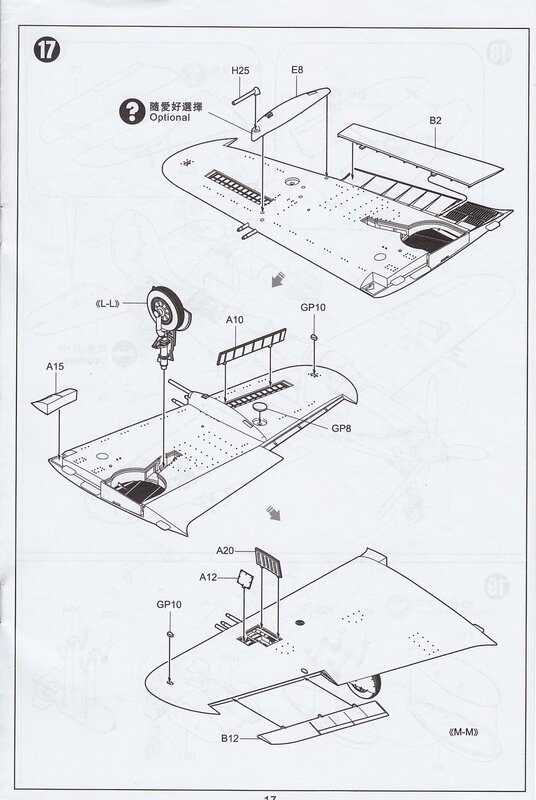 The left wing tank includes a reserve area of 20 gal. 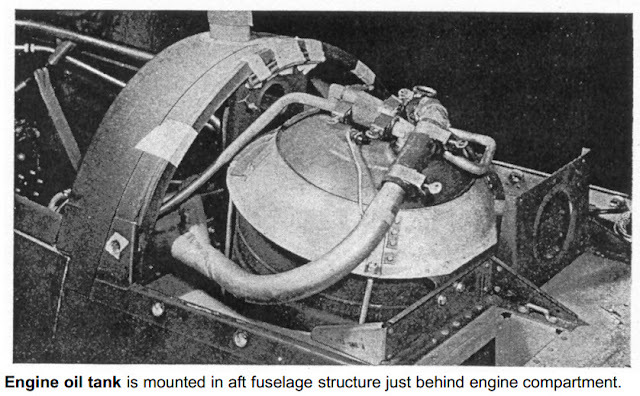 A droppable auxiliary fuel tank of either 75­ or 150­gal. 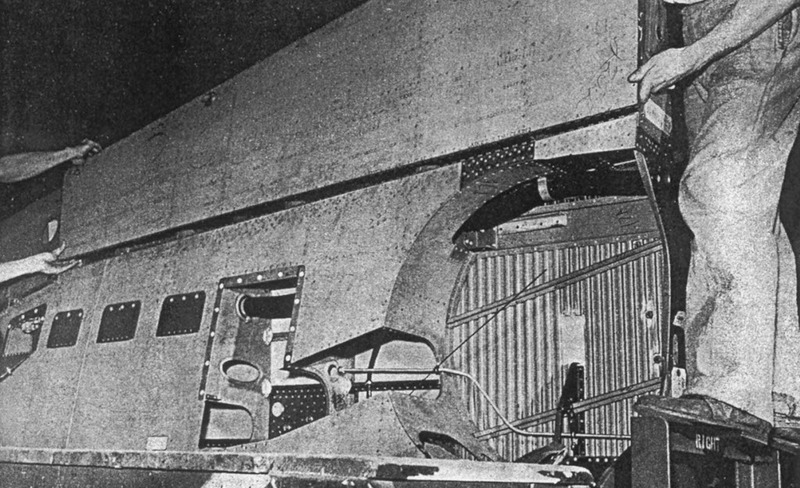 capacity may be carried in the bomb rack suspended from the wing centre section. The KH tank seems to be missing the filler cap. 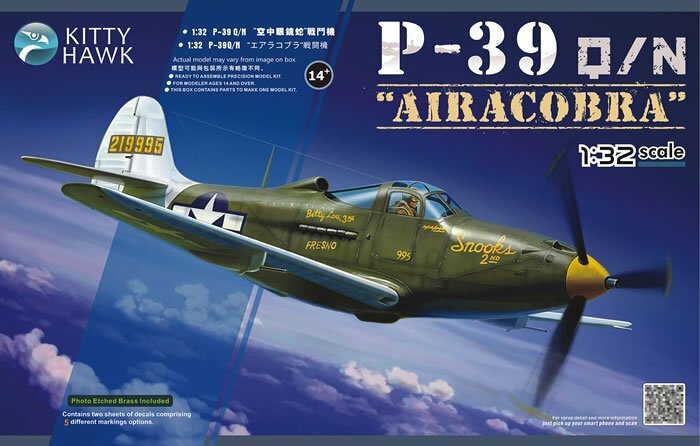 “Snooks” (one of the box art choices in this kit), a P-39Q-5 seen here on March 5 1944. Note the drop tank fitted to the centreline. 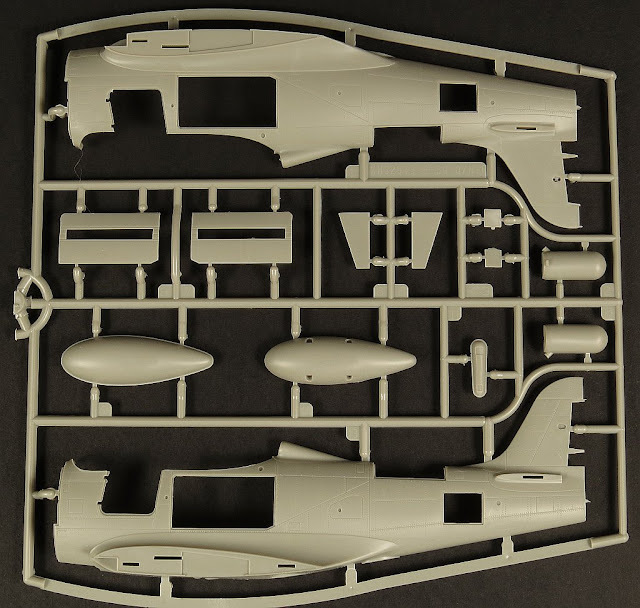 SPRUE G contains the parts for the engine, exhausts stubs, pilots seat and horizontal tail surfaces. 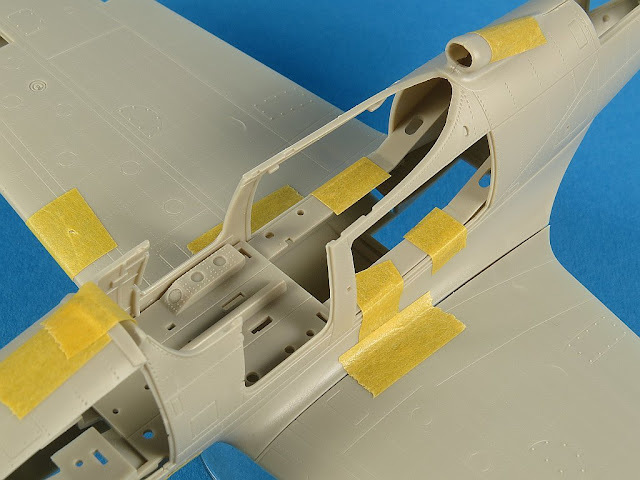 The P-39 horizontal stabilizer is designed for construction as a single unit. If these Bell drawings are accurate the KH part is missing several runs of horizontal rivets and has too many rivet lines on the rear section. 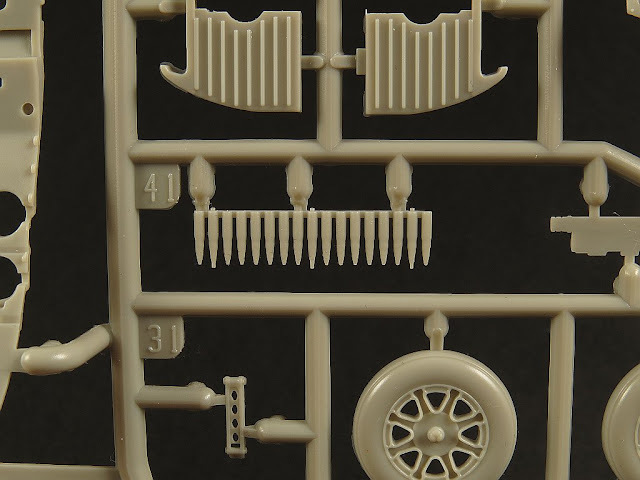 I realize this is probably nit-picking (and literally rivet counting!!) 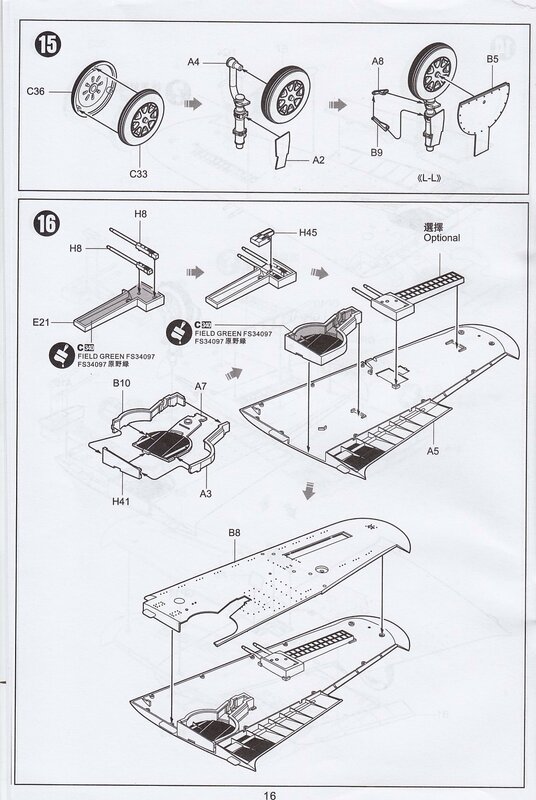 but it’s a very easy fix with some filler and a riveting tool for those so inclined. Here is an internal view of the P-39 left elevator showing the ribs and cut-out for the trim tab. I’m not sure about the rivets which run over the fabric ribs as shown on the surface of the KH part. I think for my build I’ll fill these to remove them. 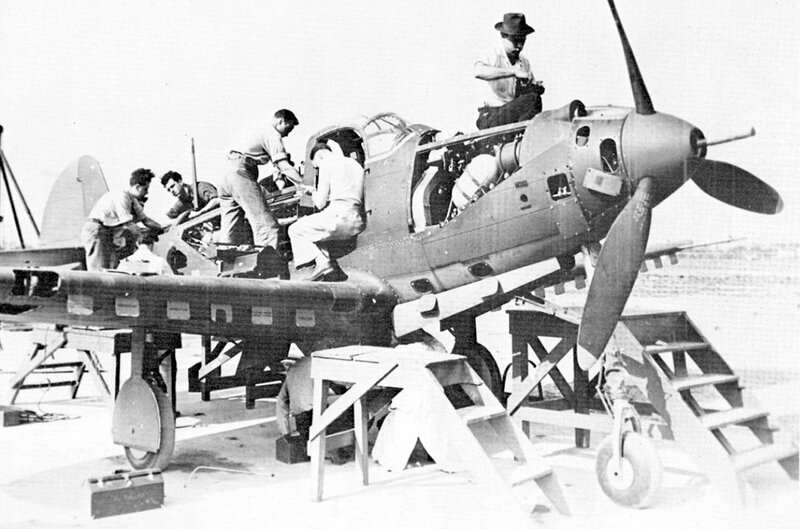 Several different exhaust stacks were used throughout the life of the P-39. 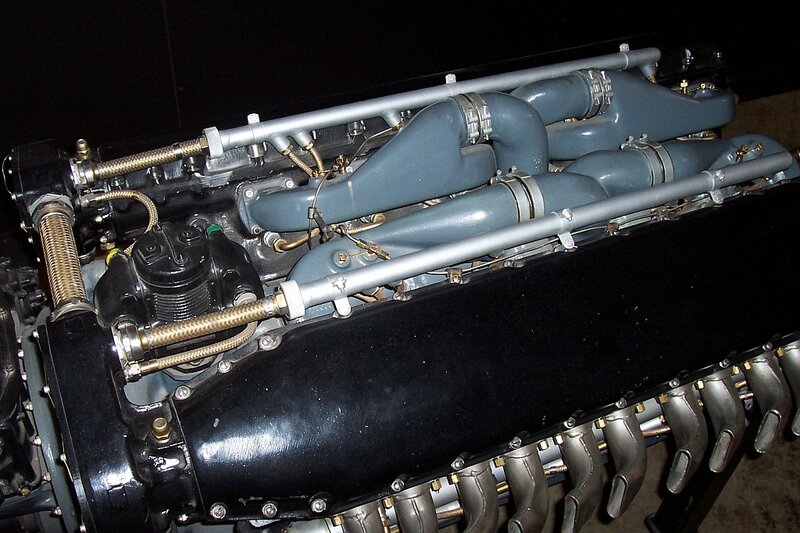 The N & Q variants were fitted with six stubs each side, each stub extracting fumes from two cylinders. 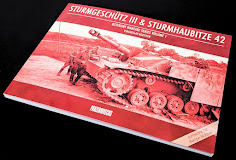 The exhaust stubs were circular in shape. 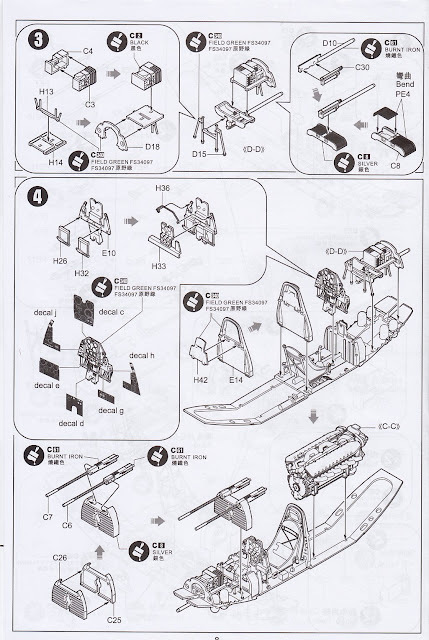 KH provides each stub in two halves, a total of 24 parts all up. Get ready for a lot of gluing and sanding. I’d be very surprised if we don’t see in short order someone come along with some time saving resin replacements. 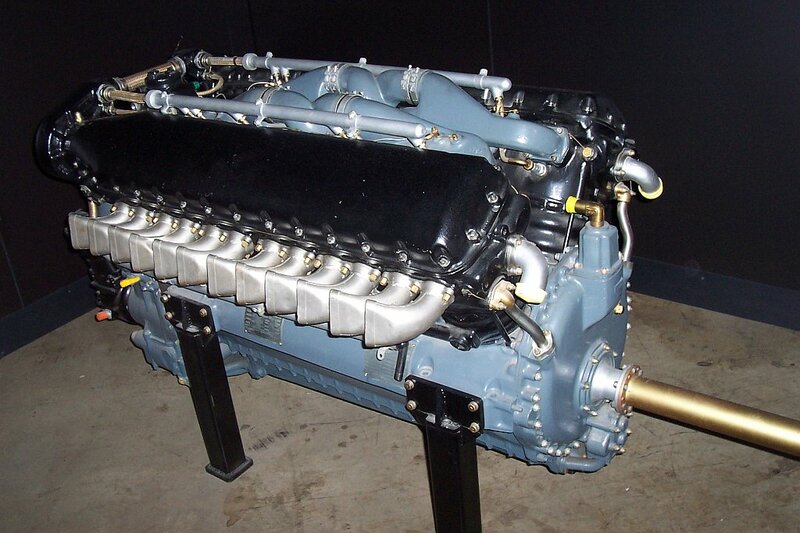 An excellent photo of a restored P-39 showing the V-1710 engine in situ. 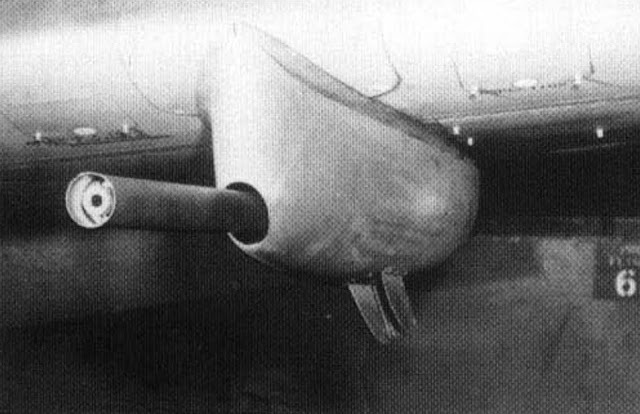 Note the six circular exhaust subs. The Ignition wiring harness is provided by KH. 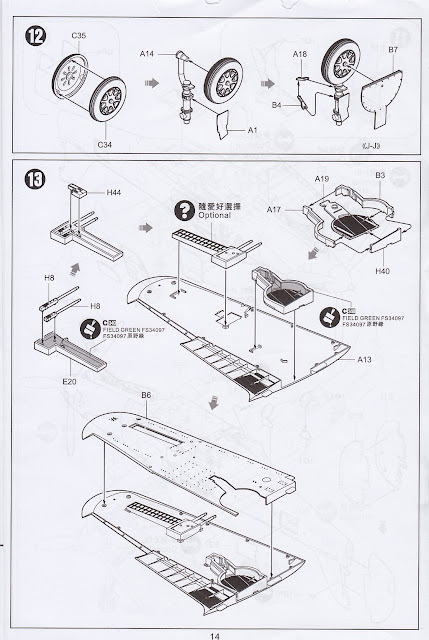 Based on comparison to photos I’ll most likely be replacing this with wire and plastic rod on my build. The pilot seat (like most WW2 aircraft) is a simple affair. 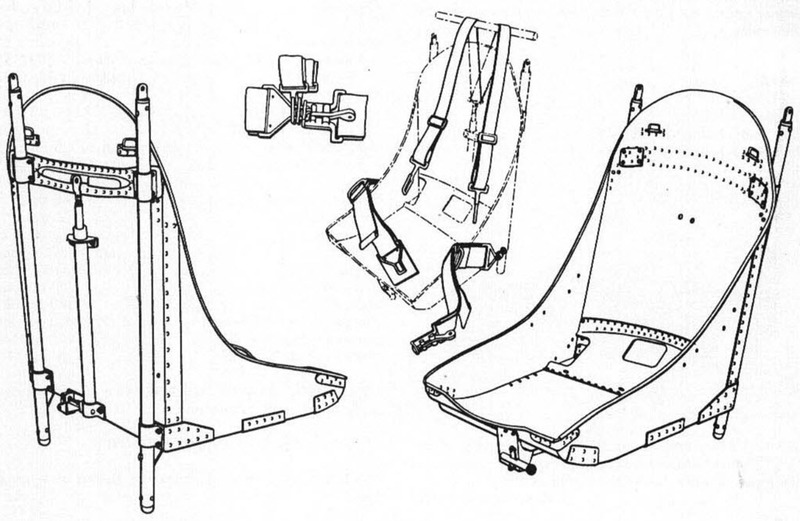 The kit seat seems to be generally accurate with the only thing I’d be looking to improve is the thickness of the sheet metal. Some elbow grease and a good sanding stick will handle this for us. KitthyHawk provides a pilots harness in photo etch brass. 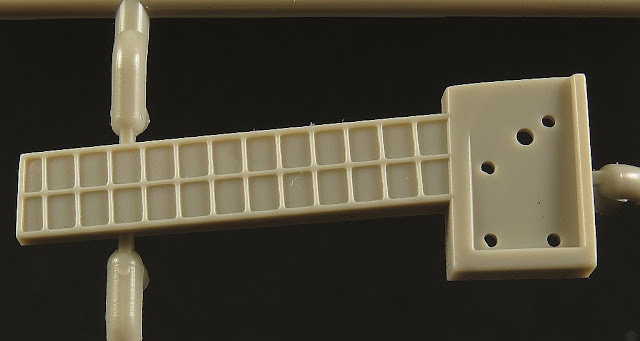 Whilst not my favourite material to represent a cloth strap, the benefit of PE is its scale thinness compared to using plastic. 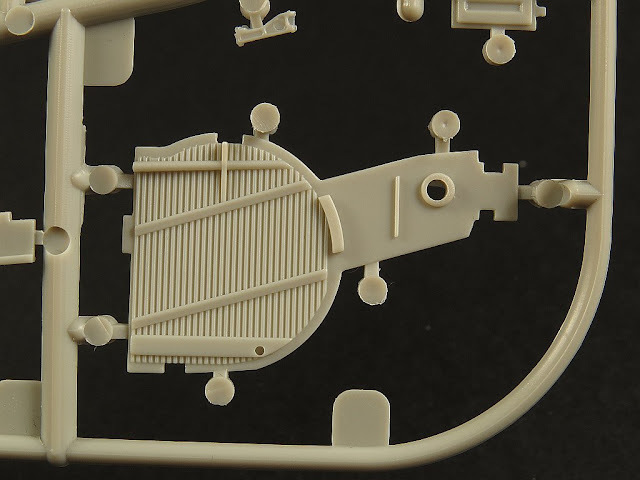 For those looking to step up the level of detailing here check out the replacement belts in 1/32 from RB Productions or HGW. 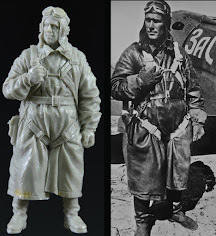 No seat cushion is provided in fighter aircraft as the pilot literally sat on his parachute. 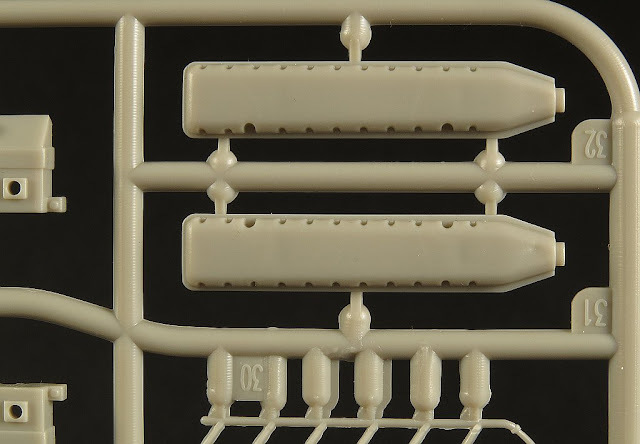 SPRUE H is the final grey plastic sprue and contains all those miscellaneous bits and pieces. 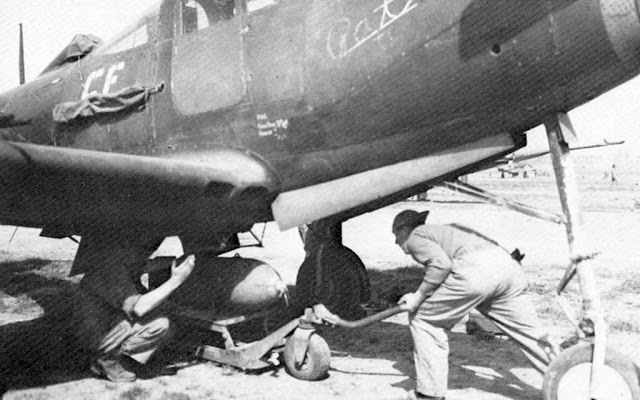 We have a single 500lb bomb, the support brackets for the bomb and external drop tank and the four .30 cal wing machine guns. 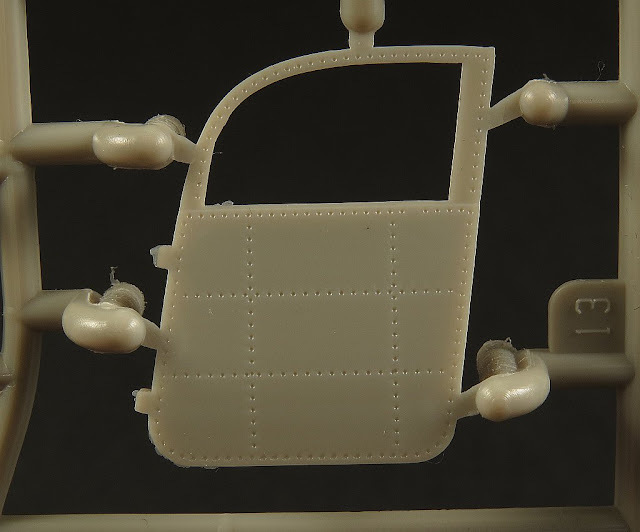 As mentioned earlier KittyHawk have chosen to supply the metal armour plate headrest rather than the far more common armoured glass found in the turnover bulkhead protecting the pilot from behind. 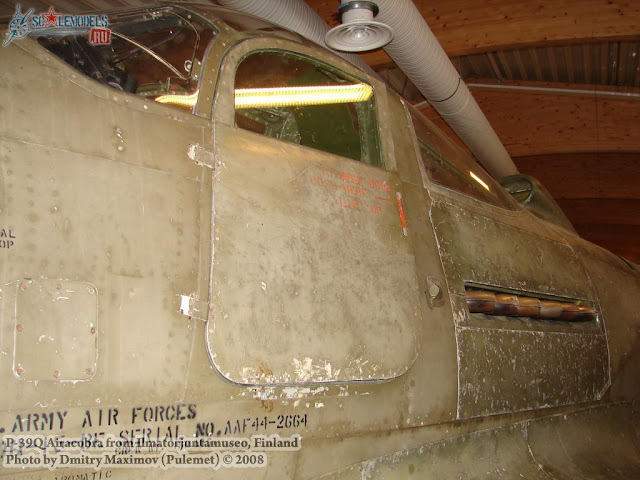 I searched many photos of wartime P-39’s and could not find any (I’m sure they exist) that showed the metal armour panel as shown in part H42. 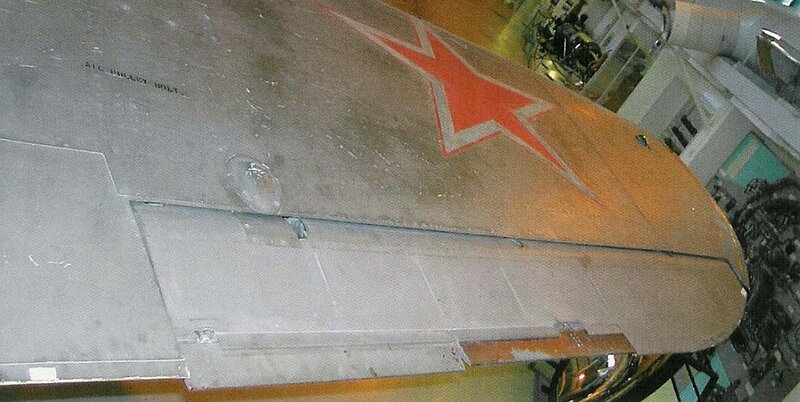 The only example of the metal armour plate was an ex-Soviet museum P-39Q. 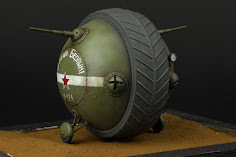 It’s possible that this was a Soviet modification. While all Airacobras from the D on were equipped to carry a 500lb mob, few ever did. 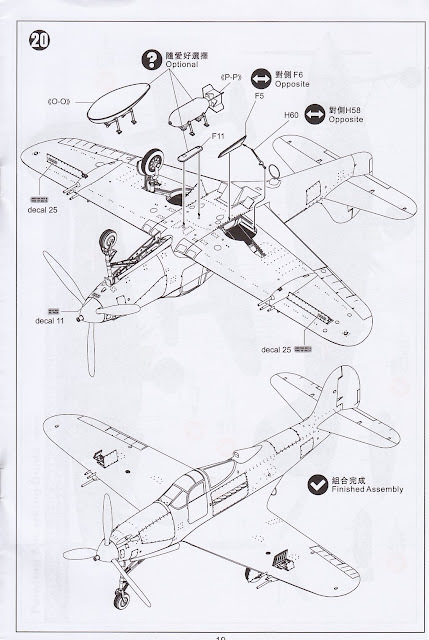 Two .30 calibre machine guns were added in each wing beginning with the P-39D (replacing the 0.303 weapons in earlier P-39’s). It’s a little amusing that KH has provided the four guns with the same part, H8 and yet two are clearly shorter than the others. 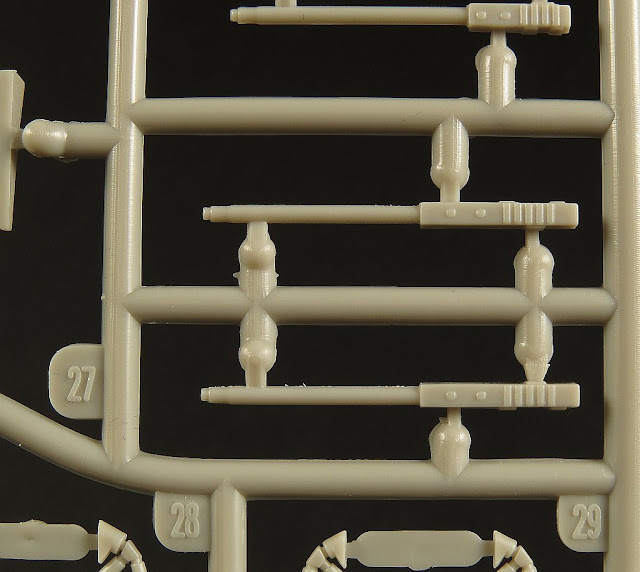 They are keyed (underneath) so it’s easy to figure out where they fit but why they chose to make the barrel lengths different (by 2mm)? 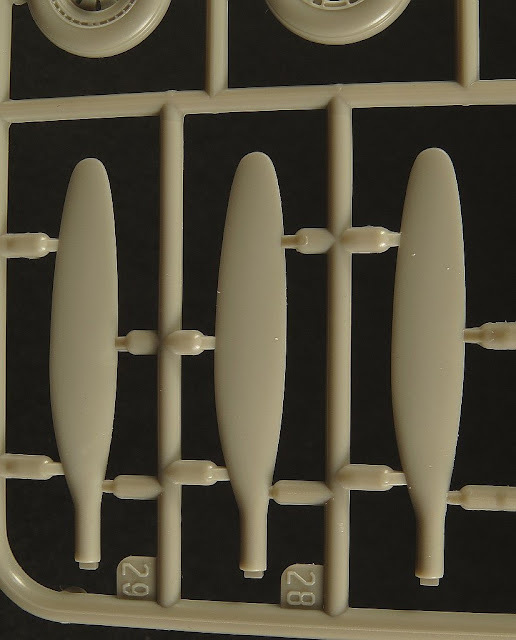 Why not make all four guns the same length (like the real thing) and stagger them accurately in the wing? The inside edge of the main wheel well has a couple of pesky ejection pins marks and some nice interior rivet detailing. 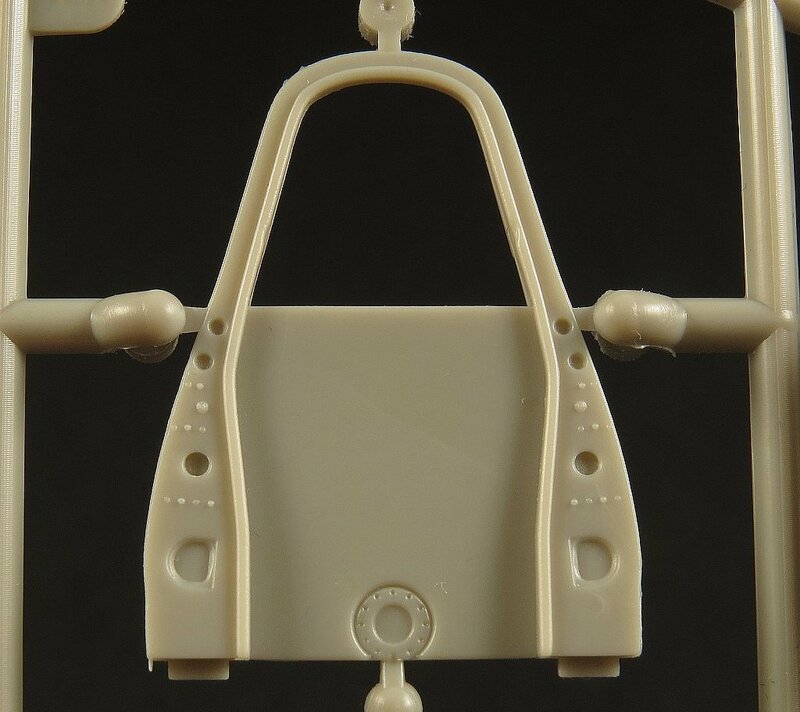 The drop tank mounting brackets are conveniently moulded as a single piece. 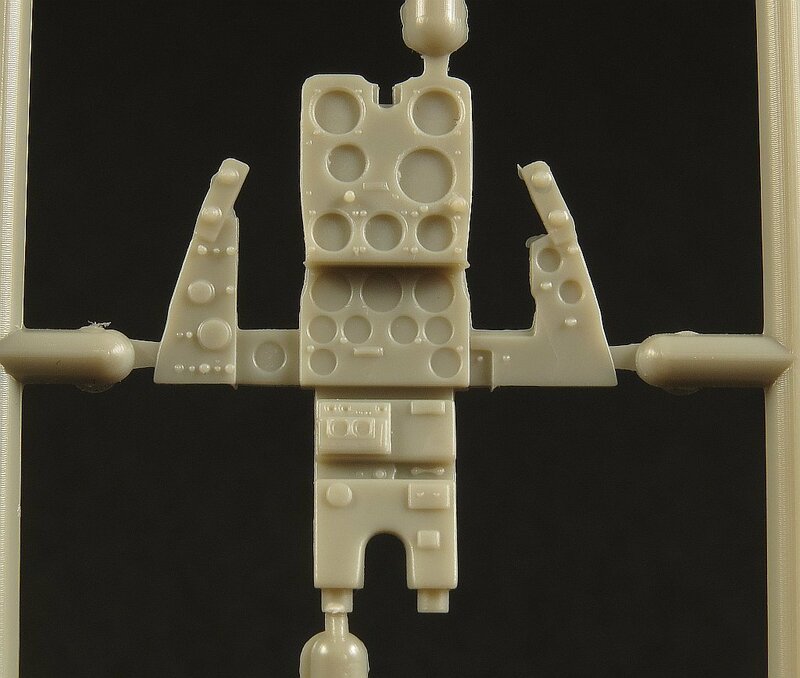 A general mix of miscellaneous parts. H57 is the top of the engine oil tank which is located in the fuselage behind the engine itself. The engine oil tank is mounted in the aft fuselage shelf provided as part H22. 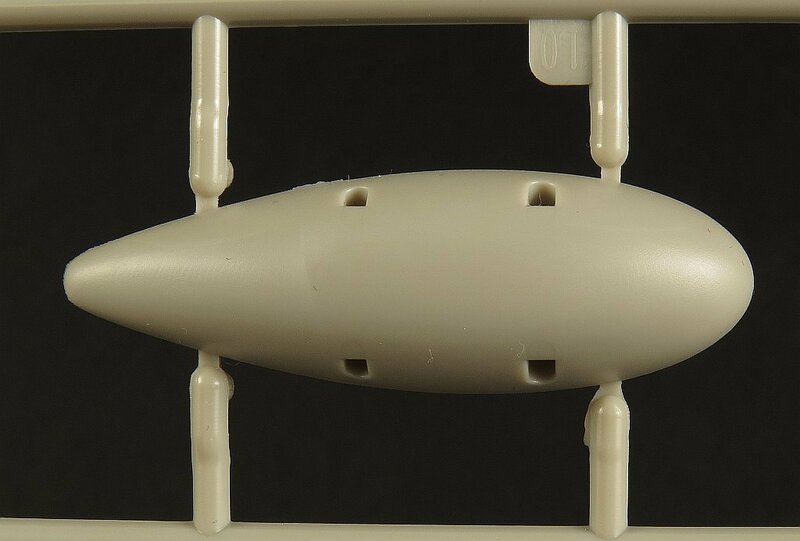 SPRUE GP is the clear sprue containing the forward and rear canopy sections, the door windows and assorted navigation lights. 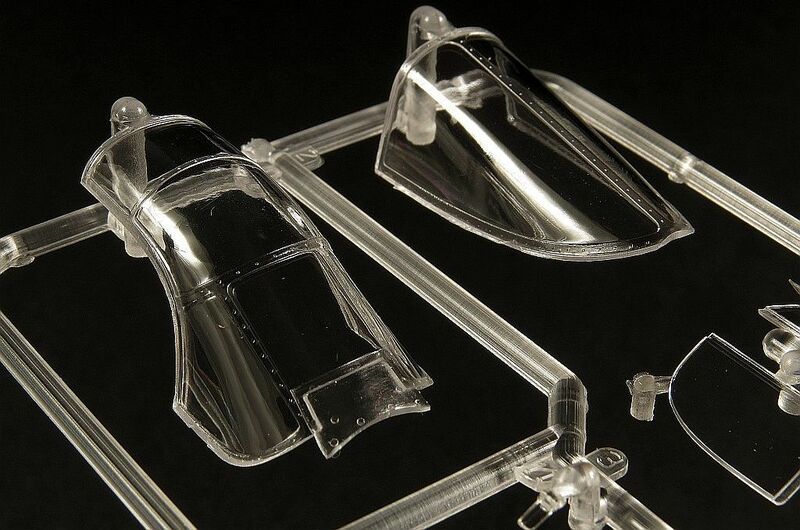 The clear parts are well moulded being optically clear and the framing sufficiently deep to allow easy masking. 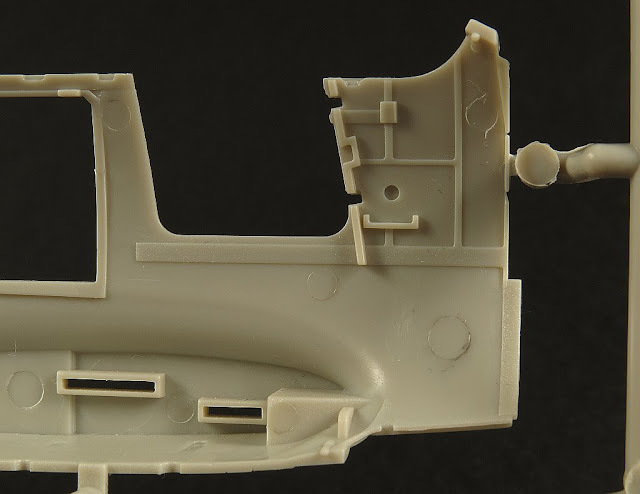 The “car doors” fitted to the P-39 had windows that could be wound down (just like a car). 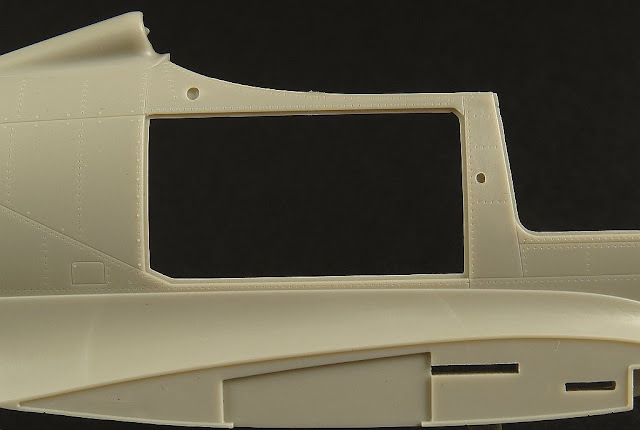 Unlike other kit manufacturers who have provided the doors and glass moulded in one part KH have taken the more traditional route and we need to glue the clear parts into the door frames. The bulk of the small PE brass fret is dedicated to the pilots safety harness. 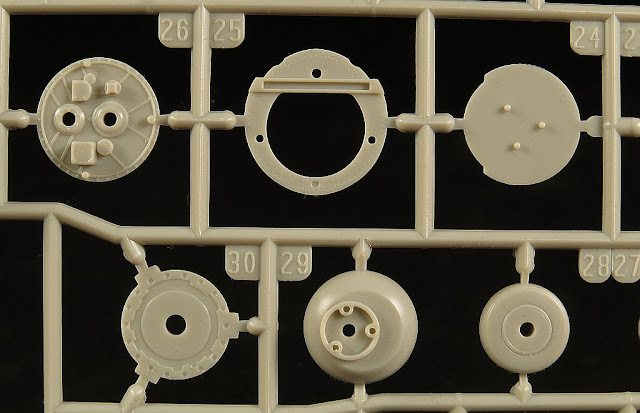 Parts PE4 (x2) are small covers that fit on the bottom of the circular endless belt-type magazine for the 37mm cannon in the nose compartment. KittyHawk has gone all out with their decal options for this kit. In times when manufacturers are cutting back on decal sheets, leaving modellers to turn to aftermarket for more options, KittyHawk continues to offer 4 and often more options to modellers. 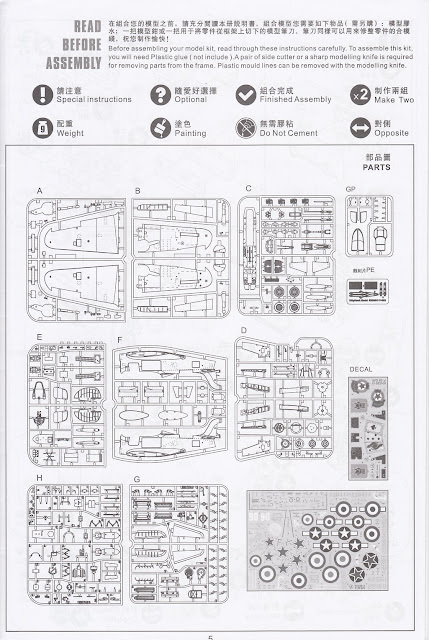 As more kit manufacturers turn to Cartograf for their kit decals (a welcome trend by the likes of Airfix and Kinetics) the Chinese manufactures continue to source their decals elsewhere. The P-39 decals look good on the sheet and having used the KH kit decals before (on my MiG-25 build) I can say with some confidence that they perform well. 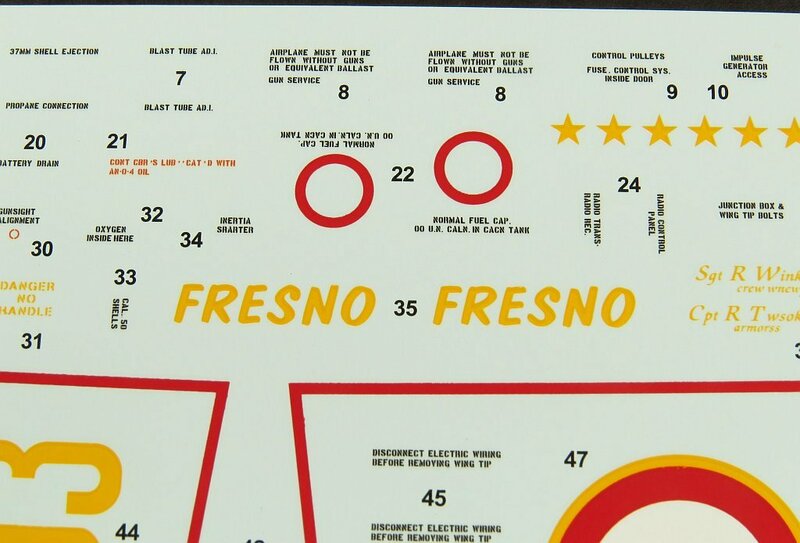 The decals are sharp and in register even when viewed under magnification. 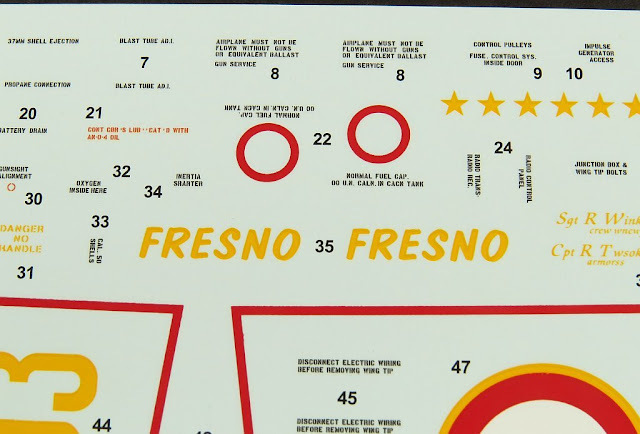 Even the small stencils are easily legible when magnified. 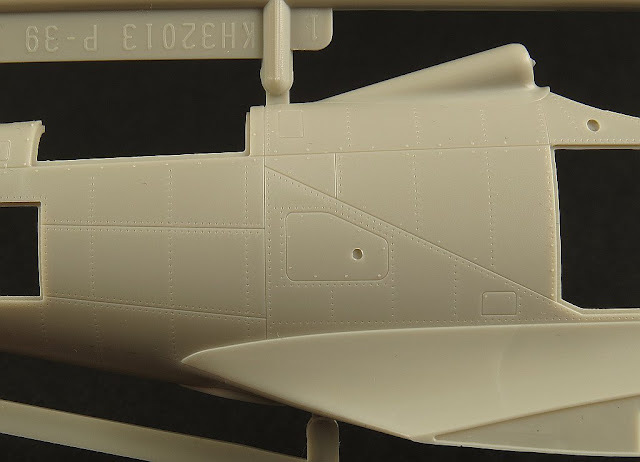 I confess I have not checked every stencil for accuracy (nor do I intend to) but the point here is that the decals will look right when on the model even for those amongst us with excellent vision. 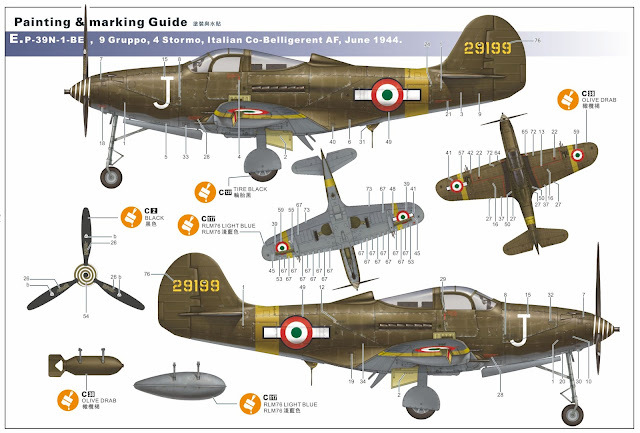 KittyHawk have provided us with an interesting selection of markings which range across four countries who operated the P-39 Q/N. We have two Soviet “Lend-Lease” aircraft, one USAAF, one French and one Italian. P-39Q, GC111/6 "Travail" Armee de L'Air, La France Combattante. 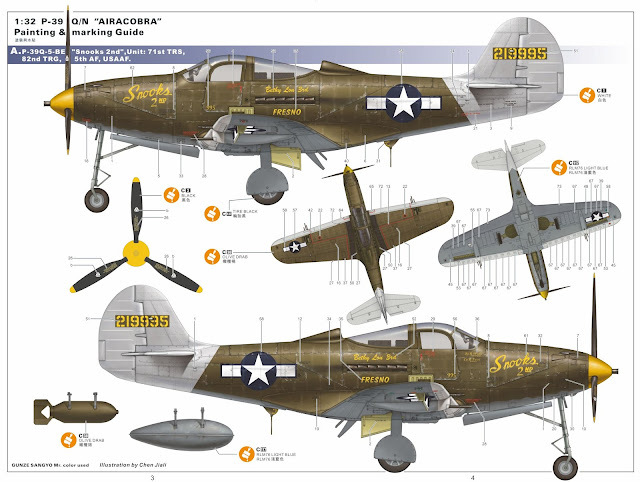 ..And lastly this AAF version Airocobra P-39Q/N "Snooks" of the 2nd unit 71st TRS, 82 TRG from the 5th Air Force. One thing to be wary of is the accuracy of the KH colour profiles. They seem to have a habit of making one set of drawings and then just changing the colours and markings on each option. As an example, all 5 sets of drawing show the installation of the twin .30 cal wing guns as well as showing the underwing .50cal pod. 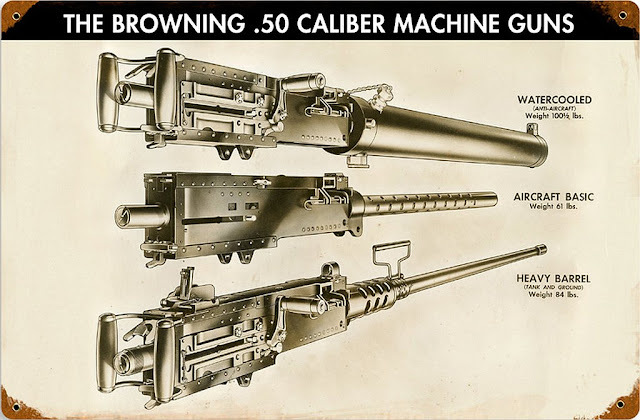 This is wrong on all accounts as the Q had no .30cal wing guns (these being removed completely for the Q series) and the N which did have the wing guns could not be fitted with the .50cal pod! 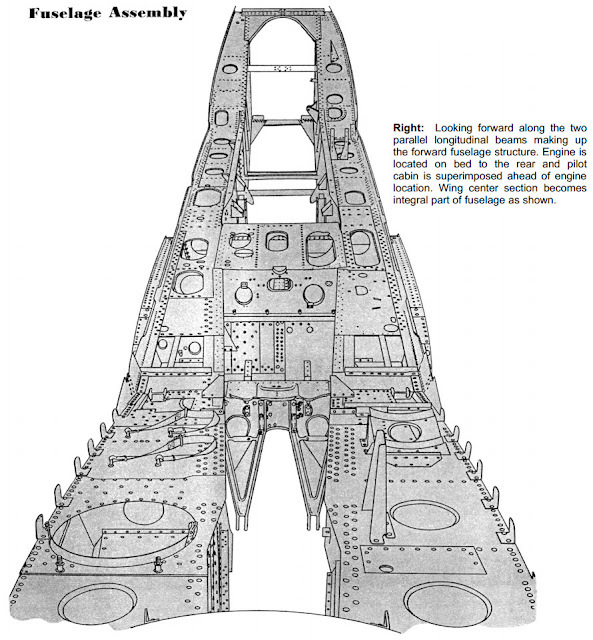 A second example is the inclusion of the direction finder loop antennae (lower fuselage aft of wings) on all drawings. 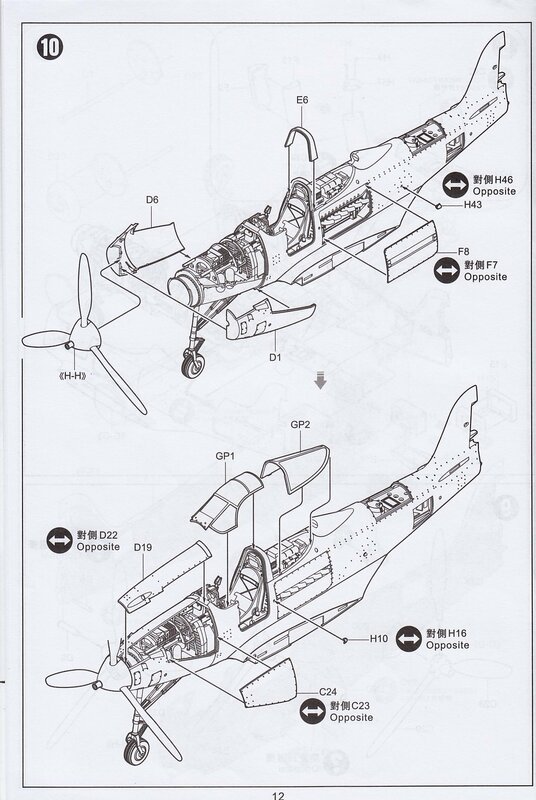 From my understanding this was only fitted to Soviet operated aircraft. If you’ve made it this far, thank you. 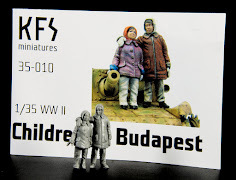 When I started to write this review I intended to do a quick one. 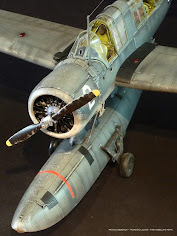 As I got more engrossed in the subject matter I realized it had me hooked and I wanted to learn more about this fascinating aircraft. 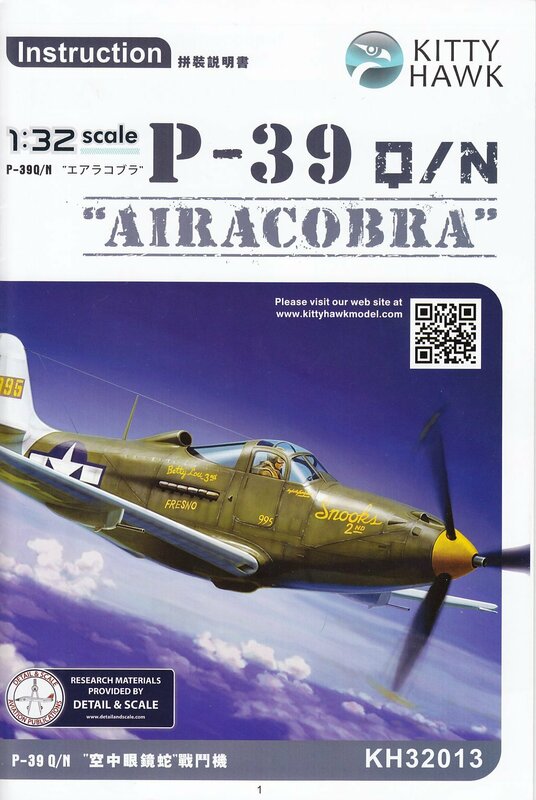 I hope the details I have presented help you build a better Airacobra, I know it will certainly help me and so in that respect it has been time well spent. 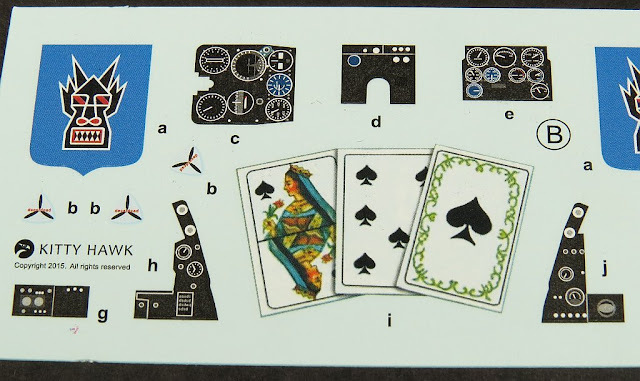 I want to leave you with one last wartime image (from Port Moresby) that has really got my imagination fired up with the possibilities that this kit offers. 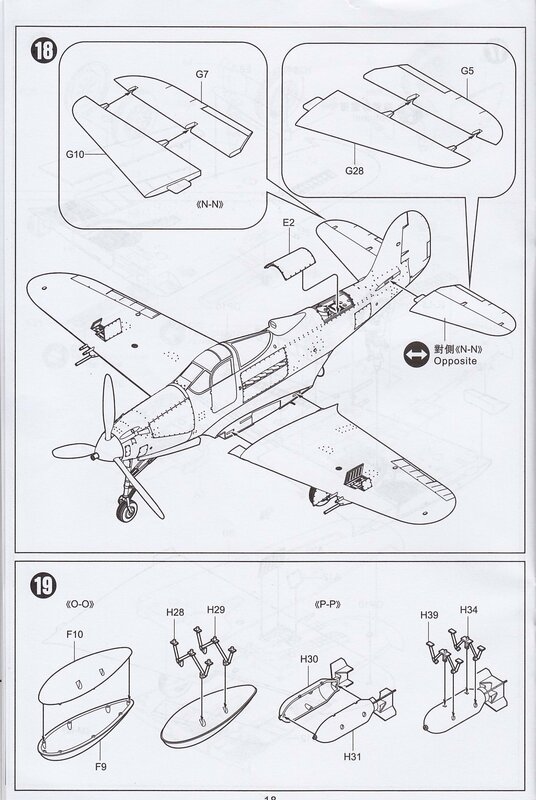 I’m overall very happy with what KittyHawk has provided us in this kit. 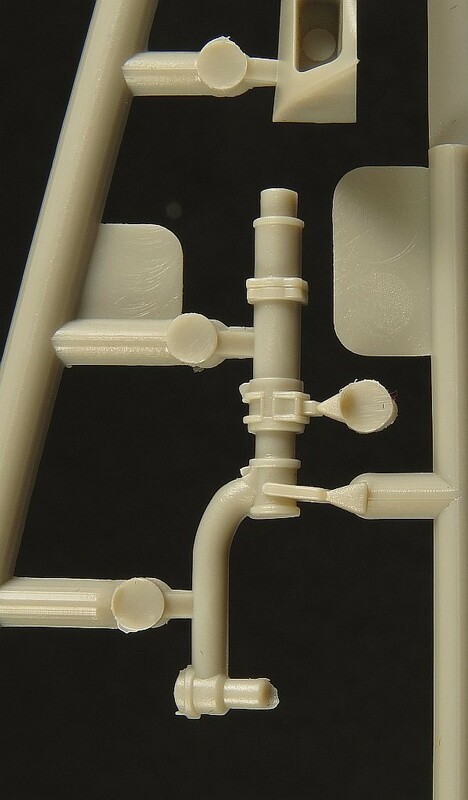 I can see scope for extra detailing for those that want to open her up and for those not interested in open panels or extra detailing to build an excellent model straight out of the box. 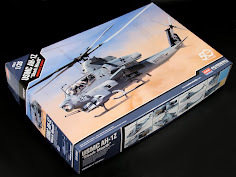 Thanks to Kittyhawk for sending this kit for us to review – if time permits we shall build it here on the news for you to see (even) more about it.